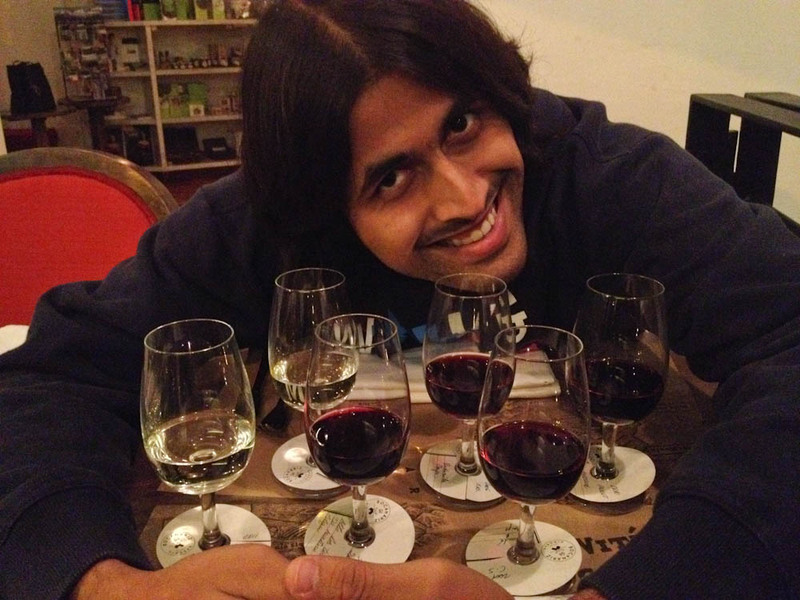 As you know, we are celebrating our 1st we-left-Dubai anniversary. 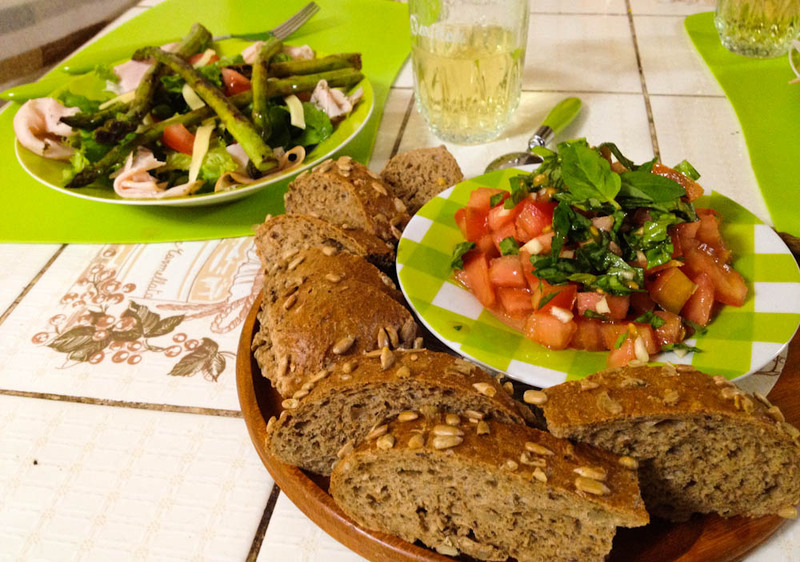 Birthdays usually involve cakes (at least where I am from), but we’d rather present you with the full meal! 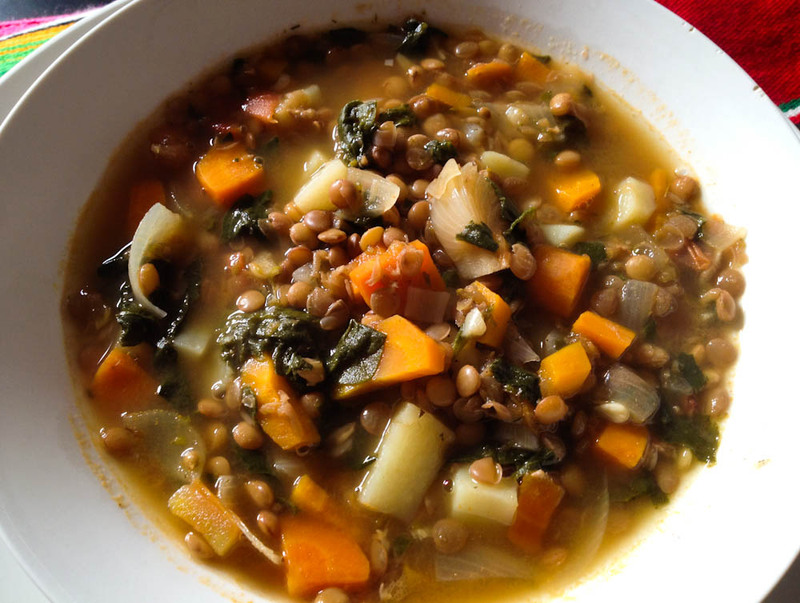 Let’s remember what the year was like… on our plates! We started off in ETHIOPIA. 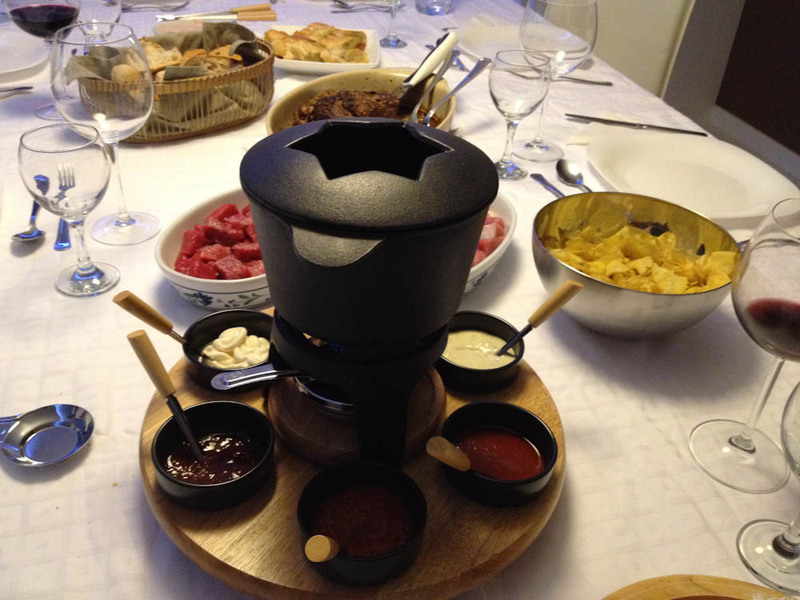 I wasn’t a fan of injera, but got to develop a taste for it once I got to have the real deal! 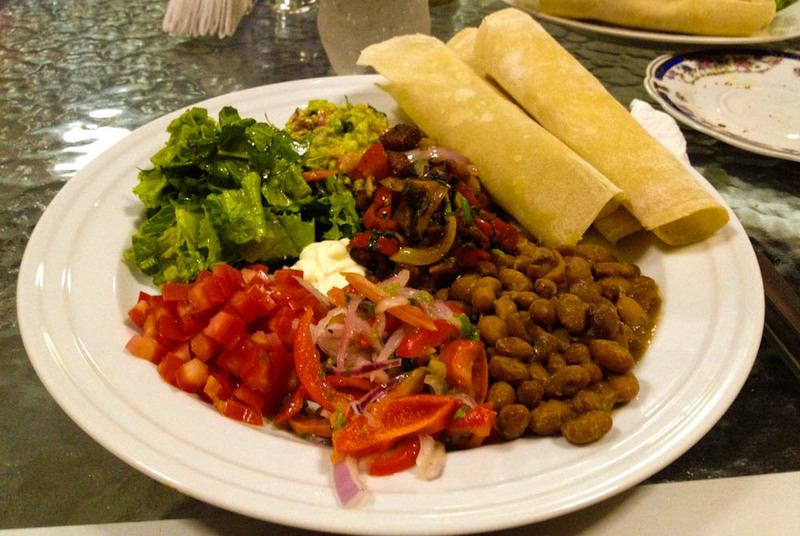 I particularly liked Ethiopian vegetarian platters, as the meaty ones tend to be quite heavy! Afterwards we went to INDIA and you know how you tend to take less photos when you are familiar with things? That’s exactly what happened! 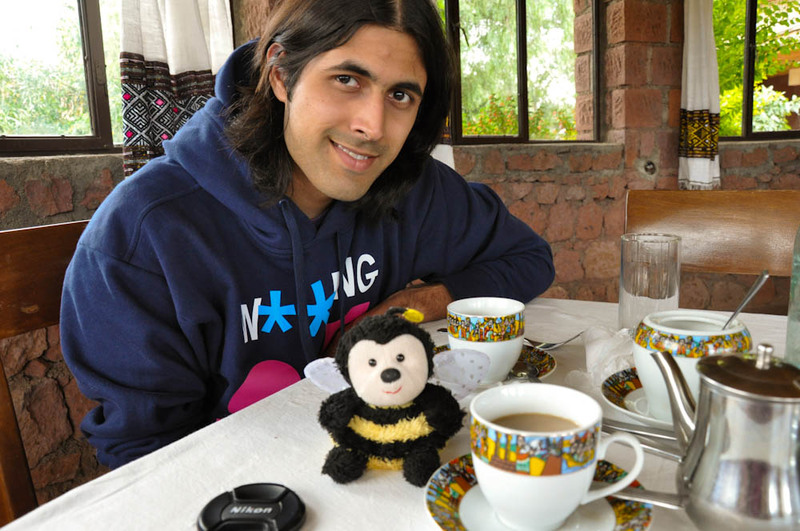 Still, here’s a little tribute to the one thing we are truly addicted to: chai! 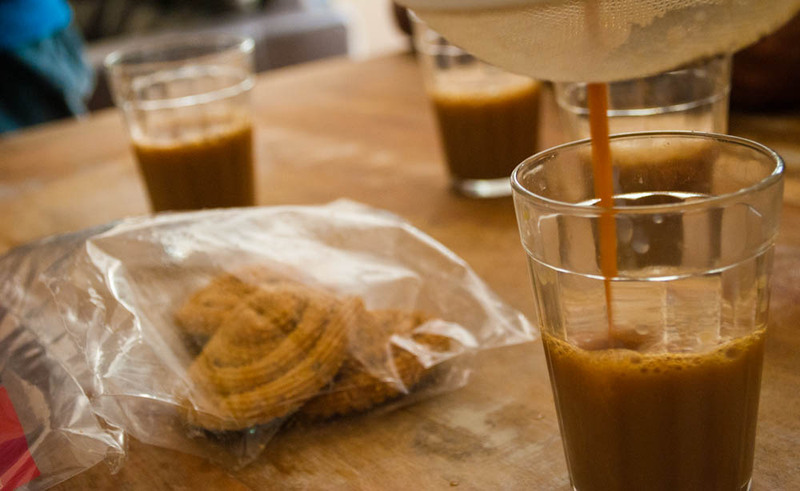 Chai: love in liquid form! 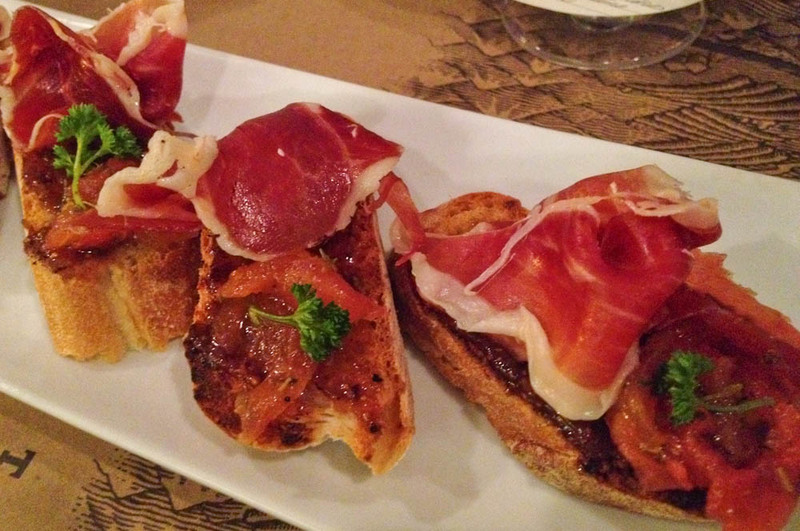 Believe it or not, we didn’t take a single food photo while in London, UK – shame on us! 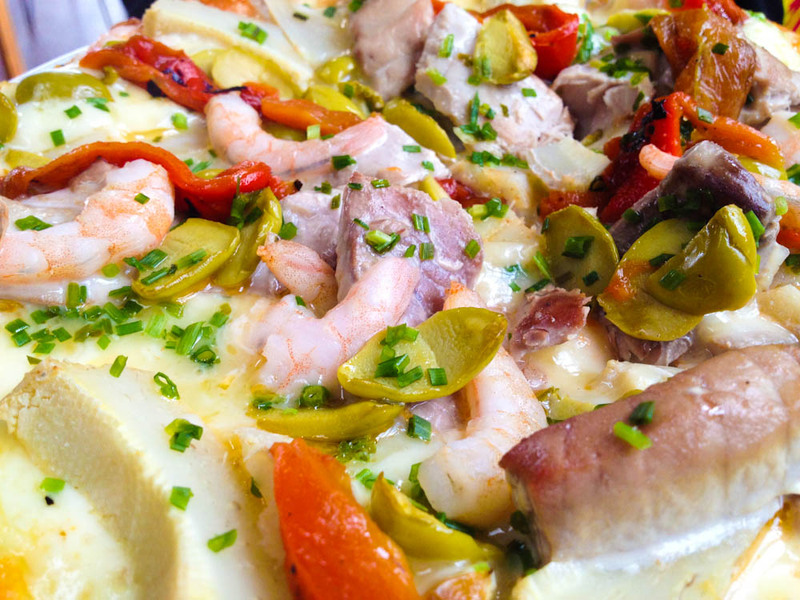 I do remember having a delicious pizza overlooking the River Thames and Ashray has quite fond memories of fish and chips. 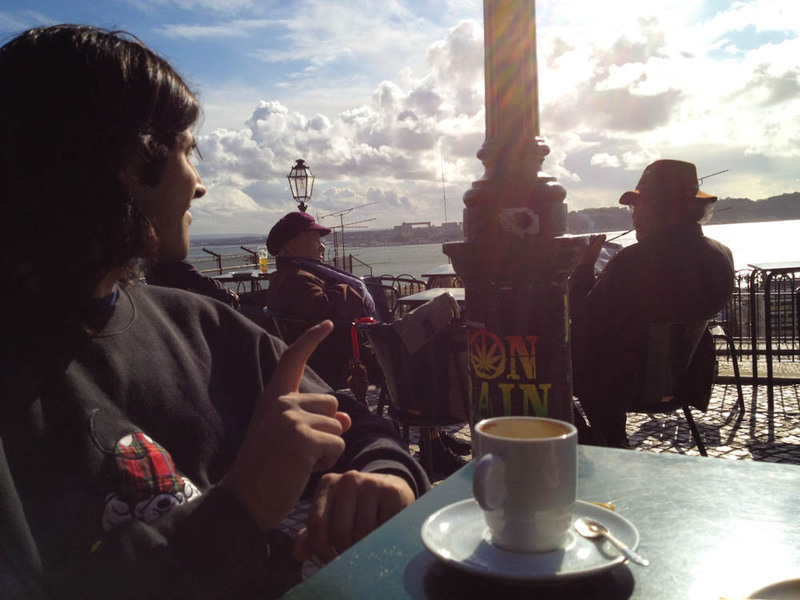 Having coffee overlooking the Tagus River: when in Lisbon, do like Lisboetas! 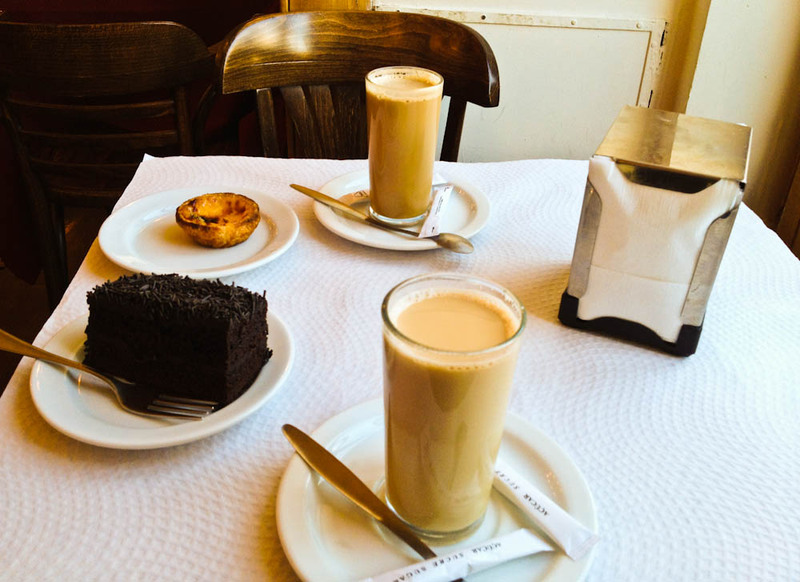 Pastel de nata & bolo brigadeiro: if there is one thing that Portuguese people know how to do great, that is pastries and deserts! 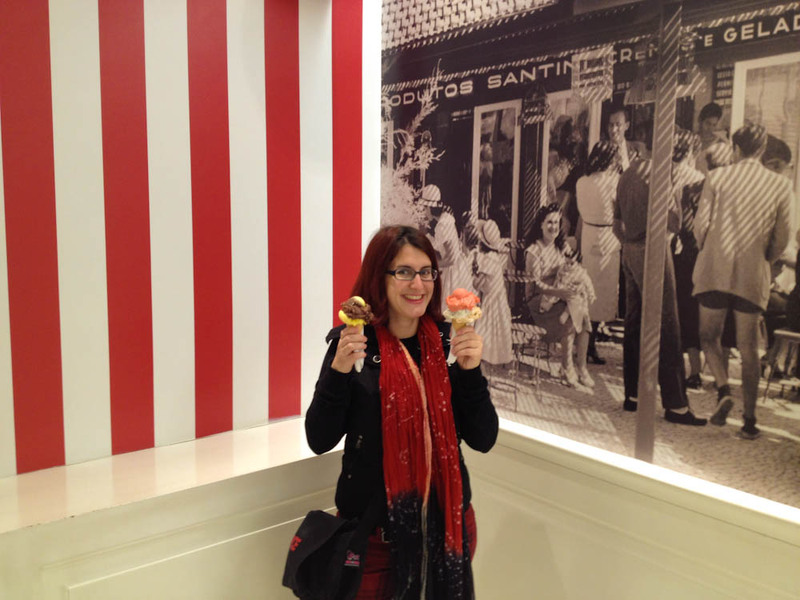 Santini's: according to many, the best gelato in the country! 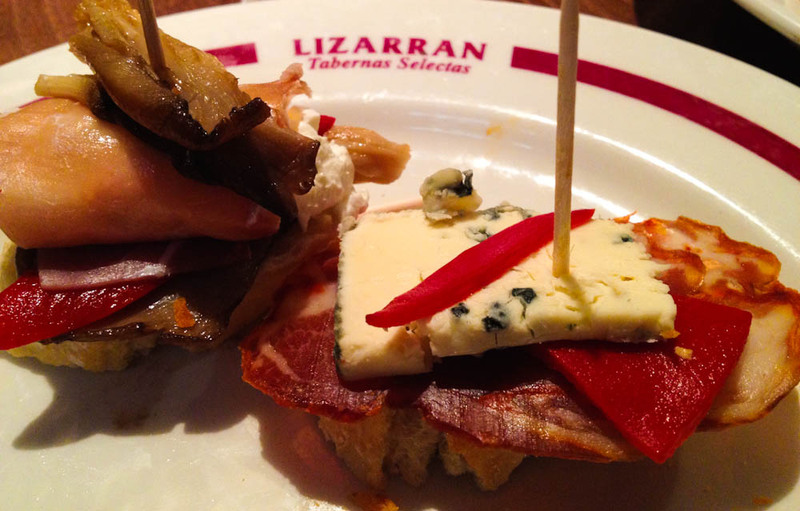 When we reached SPAIN, the land of tapas, we obviously got our kicks! 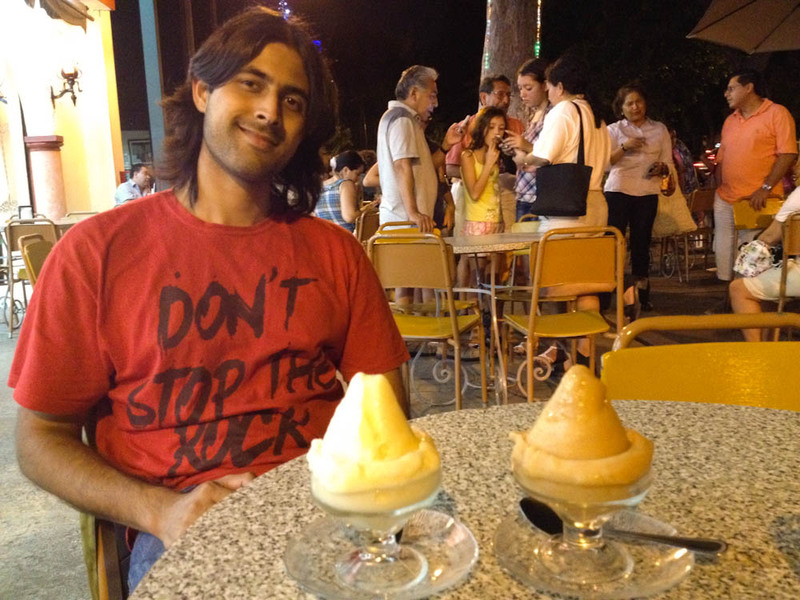 Having some desert in Barcelona with Rahat! 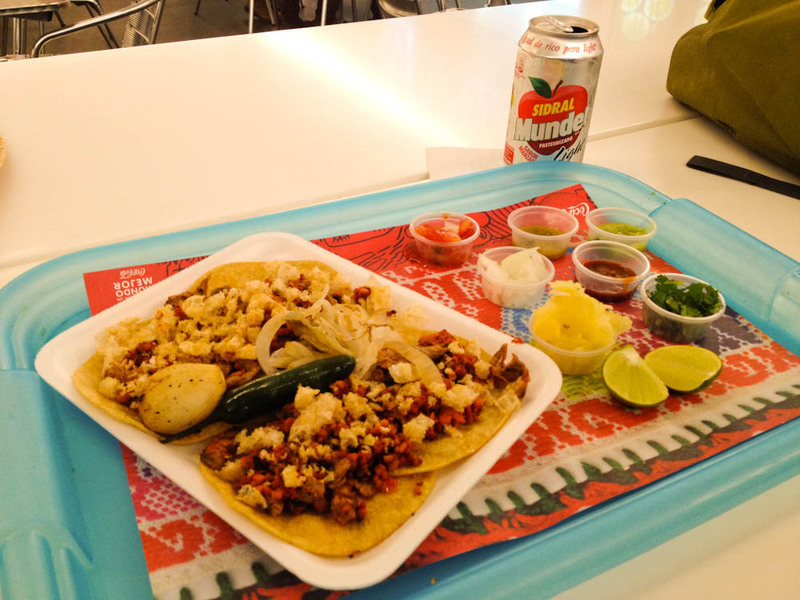 MEXICO was, hands down, one of the best countries we visited food wise – if not THE best! 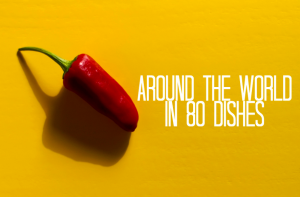 The moment we crossed the Atlantic ocean, we were in love with the rich, spicy flavors of Mexican cuisine. 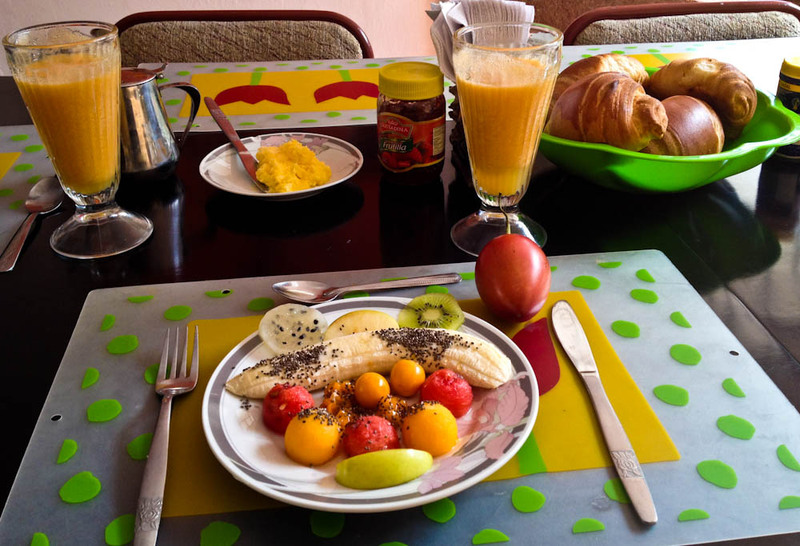 In Mexico, your taste buds wake up fully starting with the very first meal of the day! 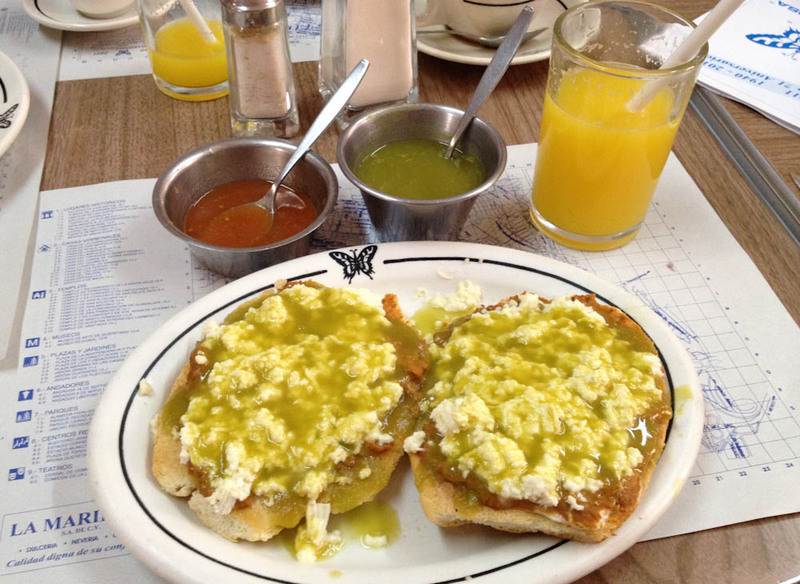 Mexican breakfast: corn toast with eggs, beans, tomatoes, cheese and OF COURSE spicy sauce! 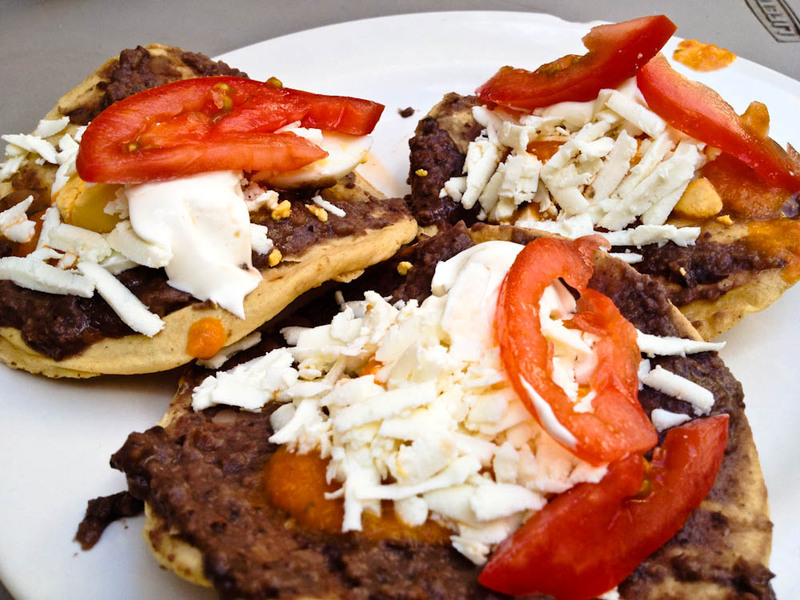 Molletes: bread with re-fried beans, cheese and green sauce. EVERYTHING is saucy in Mexico! Mango Lolly! 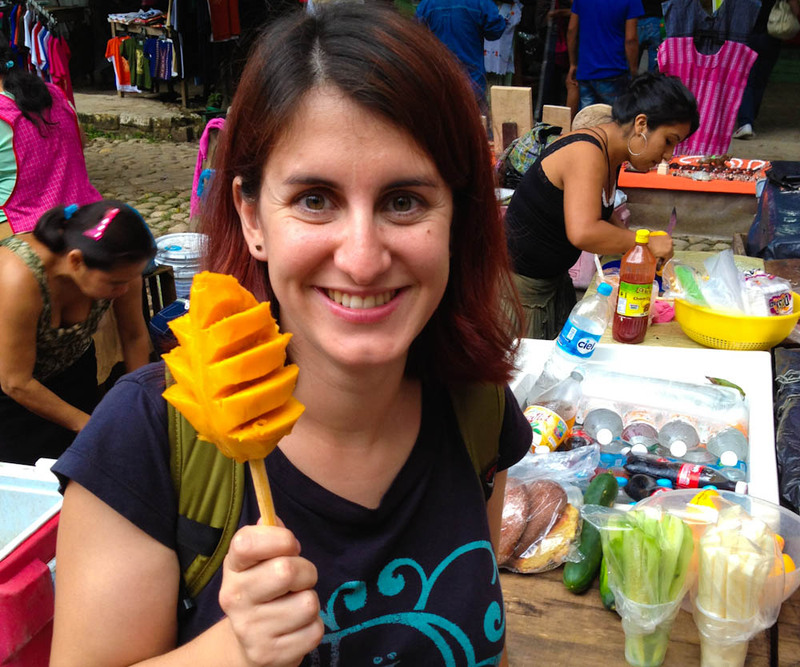 The cutest, most fun way of eating a piece of fruit… ever! 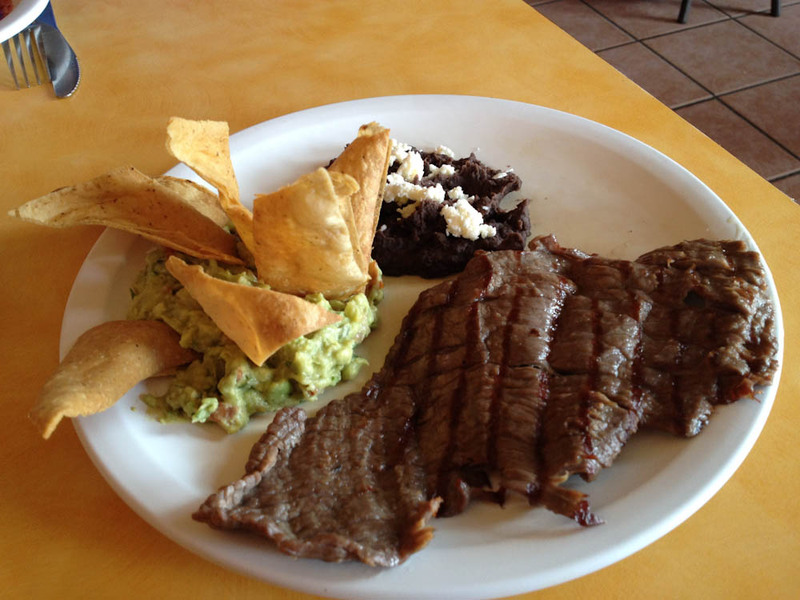 After what you’ve seen above, it would be hard for any country to match the level of taste that Mexico delivers in every dish. 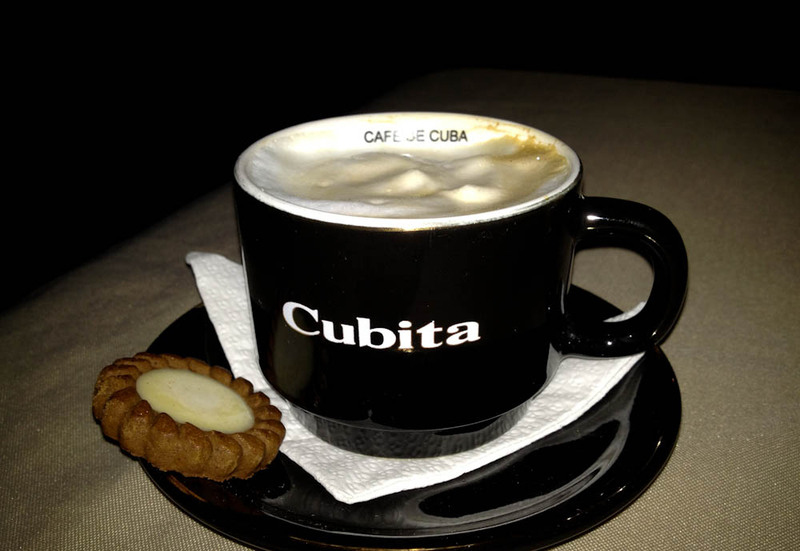 CUBA wasn’t particularly memorable food-wise. 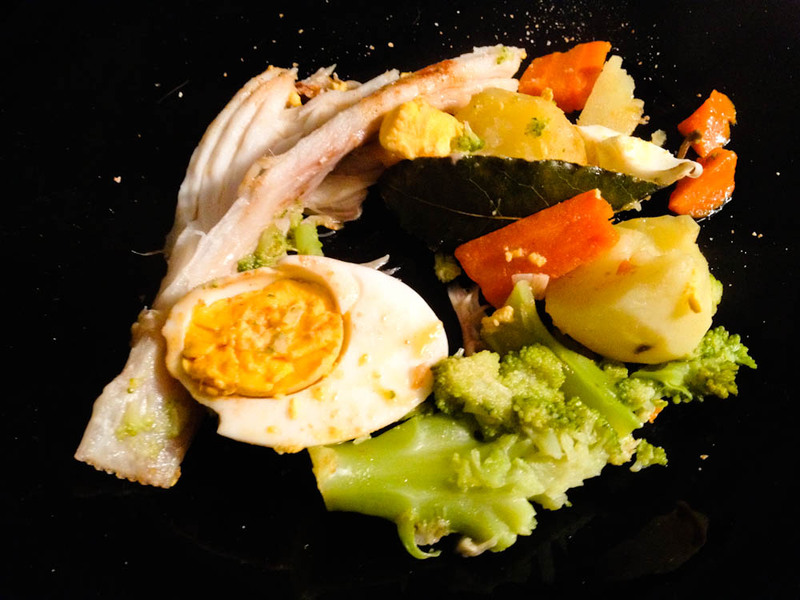 The shortages that this country undertakes affect even their cuisine: there is a lack of ingredients and seasonings. 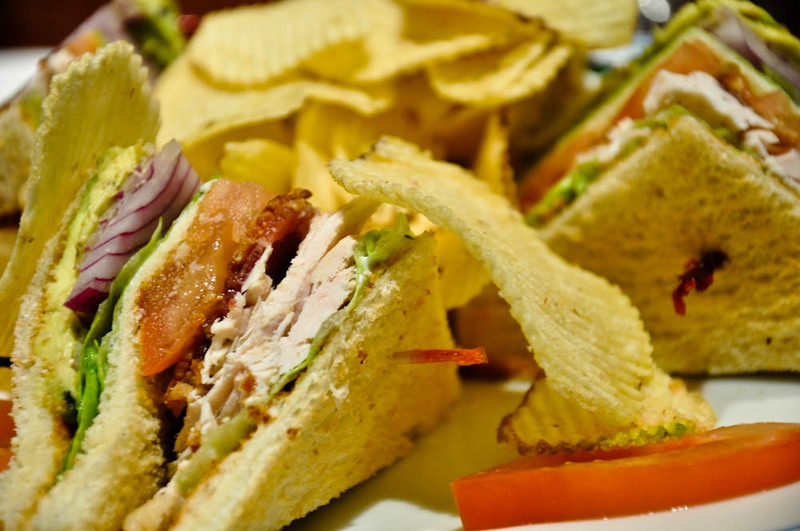 But they do have something very good going for them, and that is fresh ingredients! 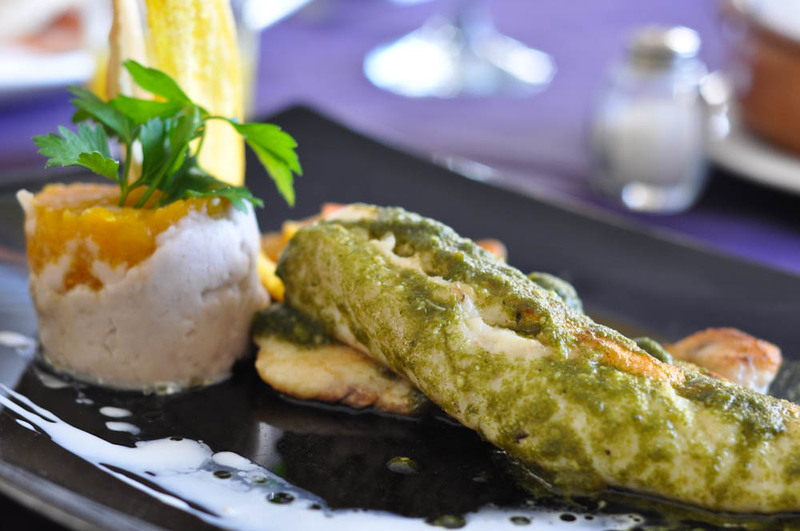 Fish with pesto and mashed papachina with pumpkin – the fanciest meal with had in La Habana. Very good presentation but, believe it or not, it had zero taste! 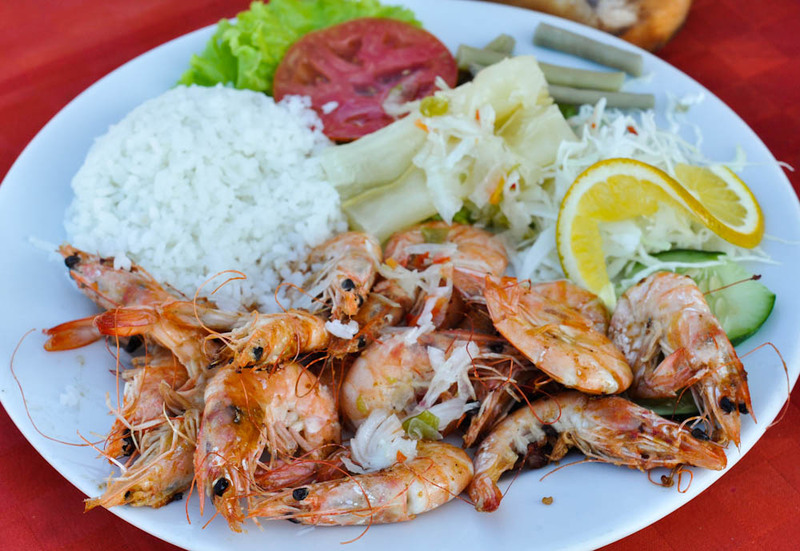 Eating prawns at the beach: perfect combination! 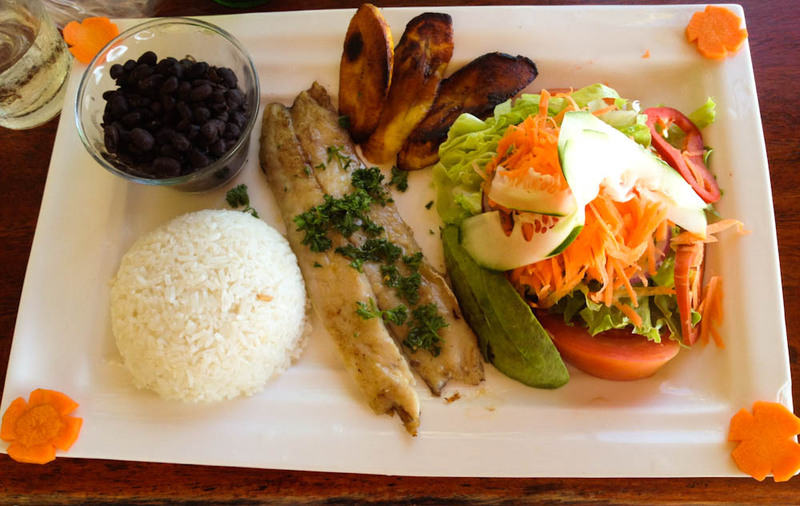 COSTA RICA is well known for it’s typical dish “casado”. 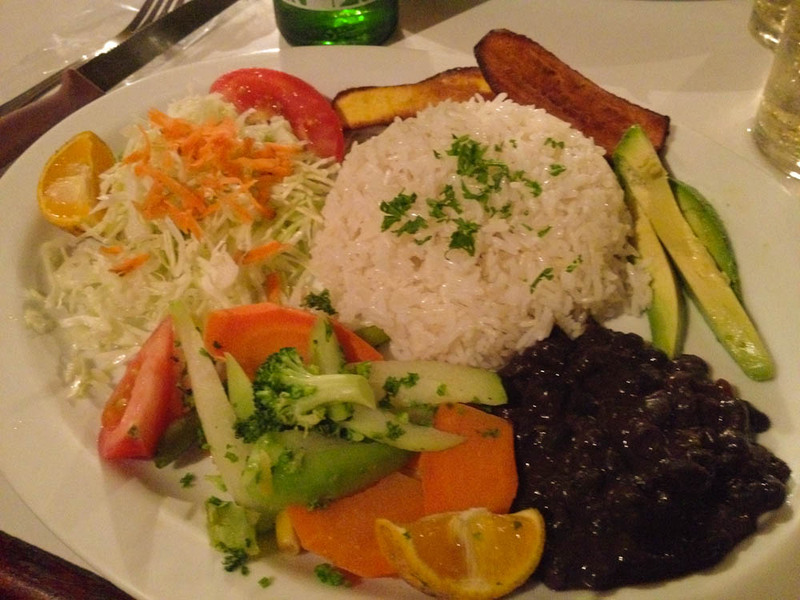 Casados present on the same plate a combination of rice, black beans, chicken/beef/fish or mixed vegetables, salad and fried softened plantain. 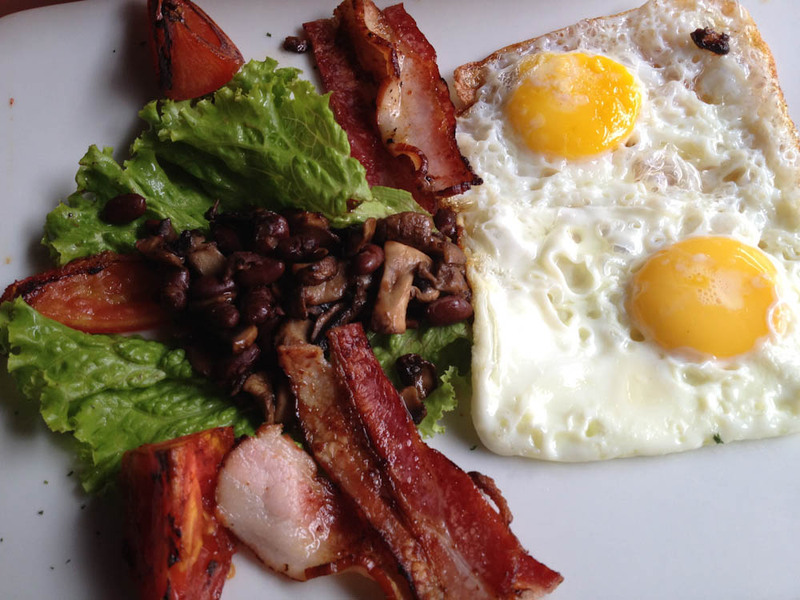 Sometimes, it might include a fried egg, but most commonly not. 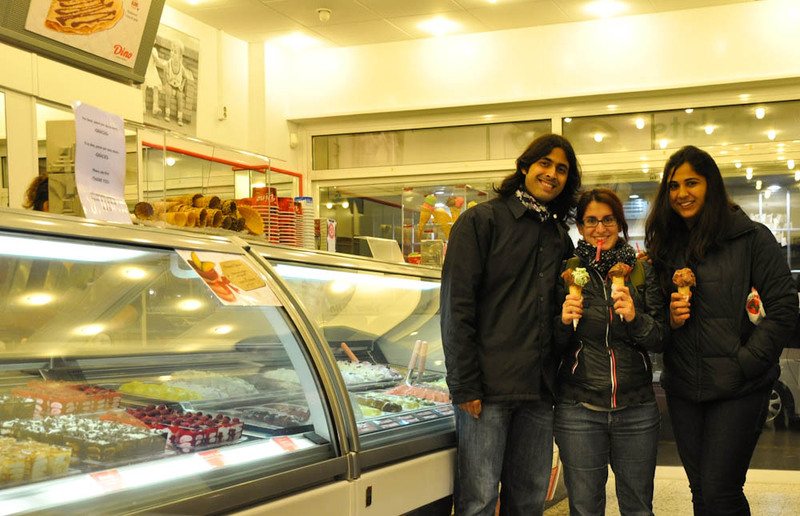 For me, this is the best combination a traveler could ever wish for: a place full of flavor, energy and variety! 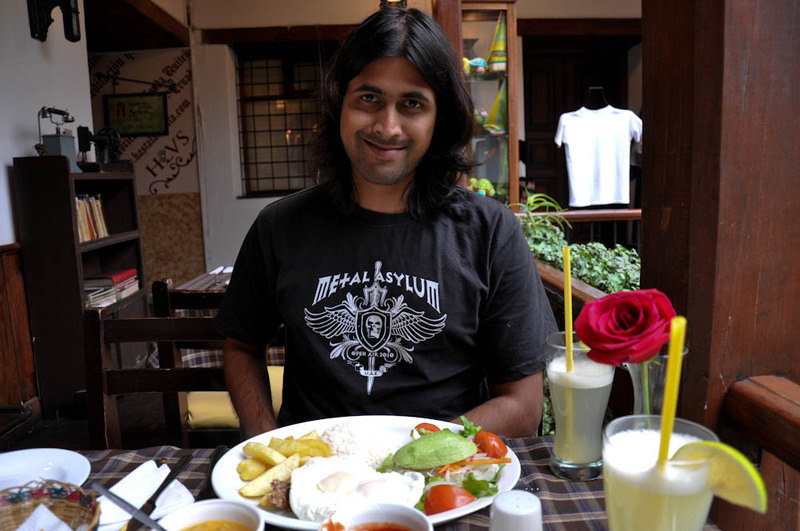 While in Costa Rica, we came across a restaurant serving INDIAN FOOD. 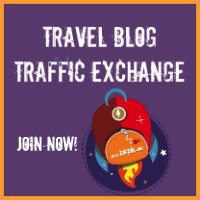 Oh my!… we couldn’t pass on the opportunity of eating some roti and tandoori delicacies! Surprisingly, this was very, very good! 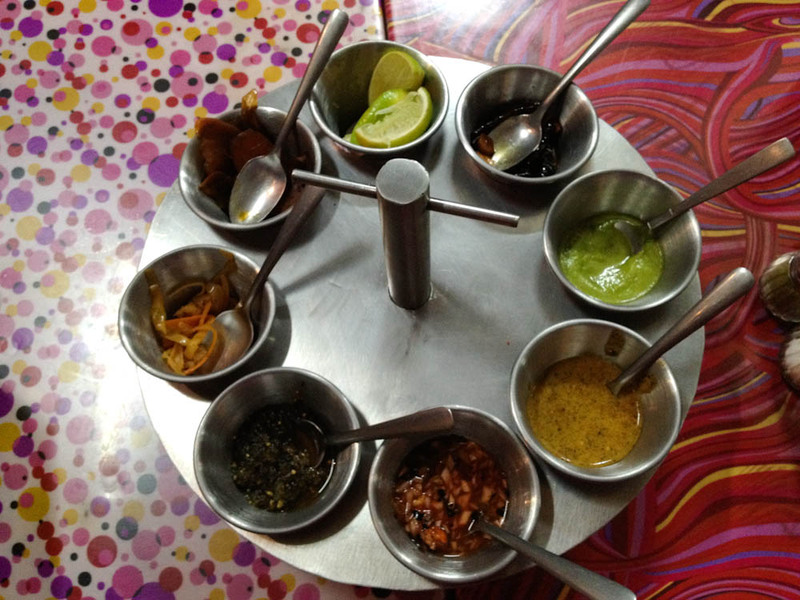 Funny enough, the restaurant would only serve Indian food for dinner but the chef was happy to make an exception and heat up the tandoor just for us… what a privilege! 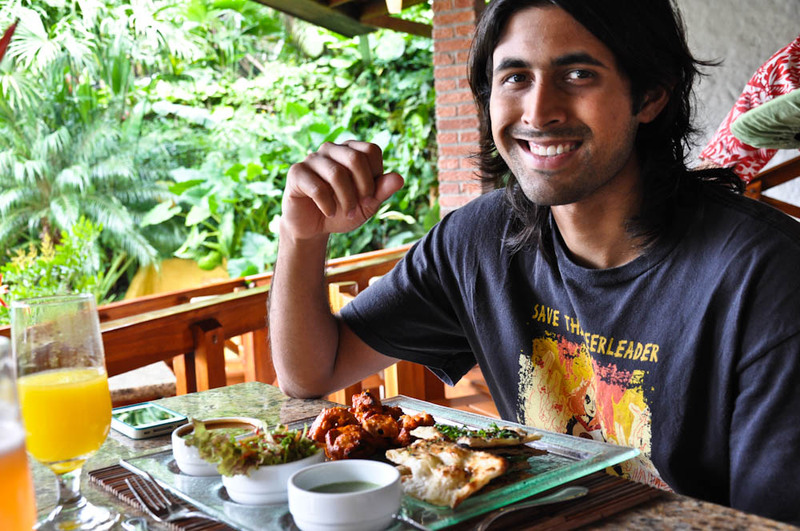 Indian food in Costa Rica, at Tabacon Hotel – Ashray looks like a happy, HAPPY man!! 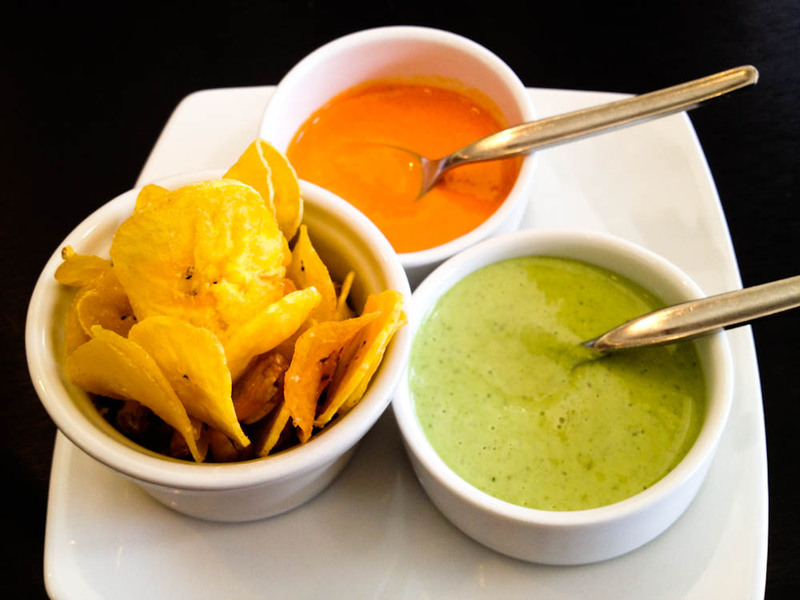 To fly from Costa Rica to Brazil, we took a flight via MEXICO CITY, where we ended up spending 13 beautiful gastronomic hours. 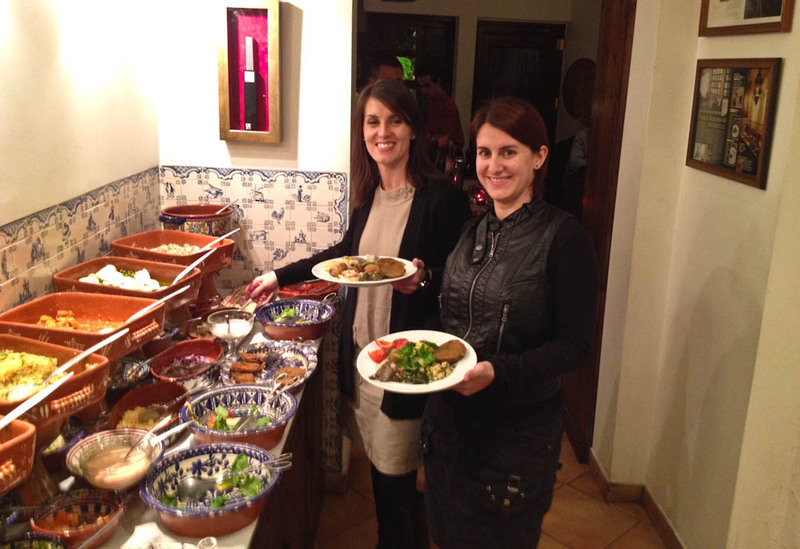 It felt like going back home, and food was a big part of it! I can't put into words how much we enjoyed this! 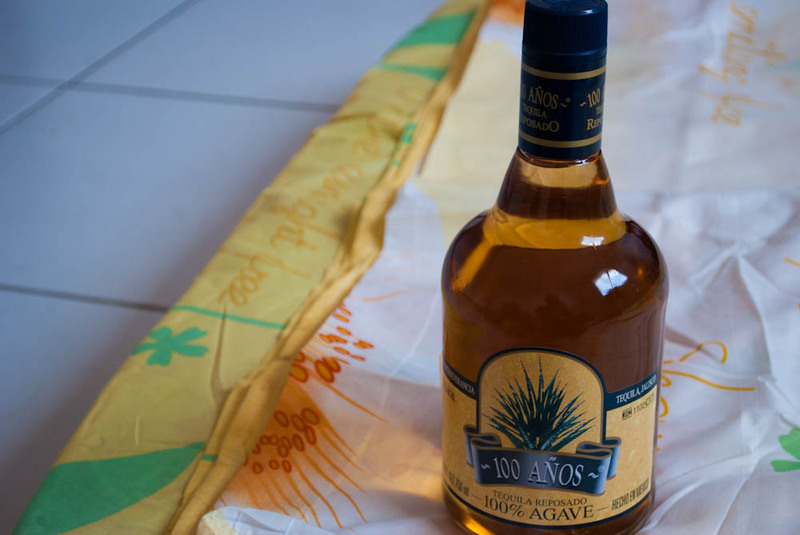 This is Mexican tequila, but we enjoyed it fully in Brazil, after we got robbed and needed to… oh well… unwind. 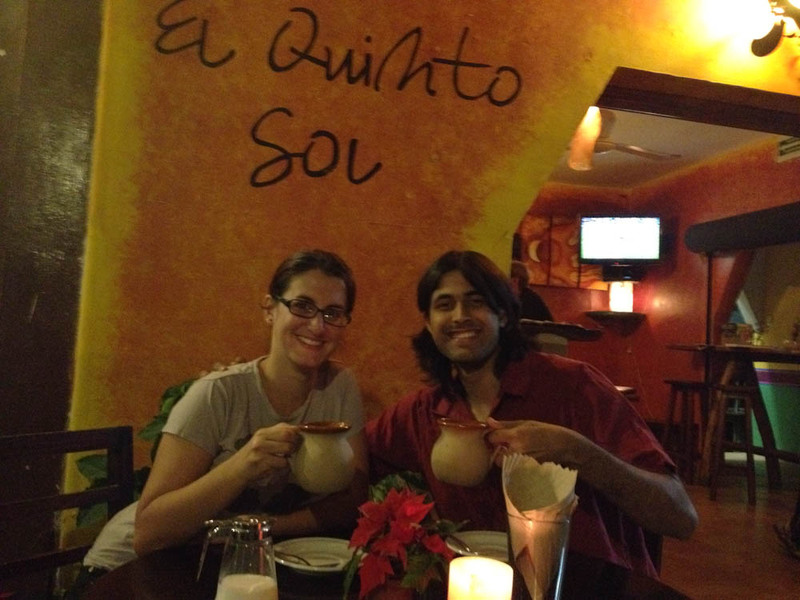 ECUADOR was a refreshing change in our palates after Brazil. 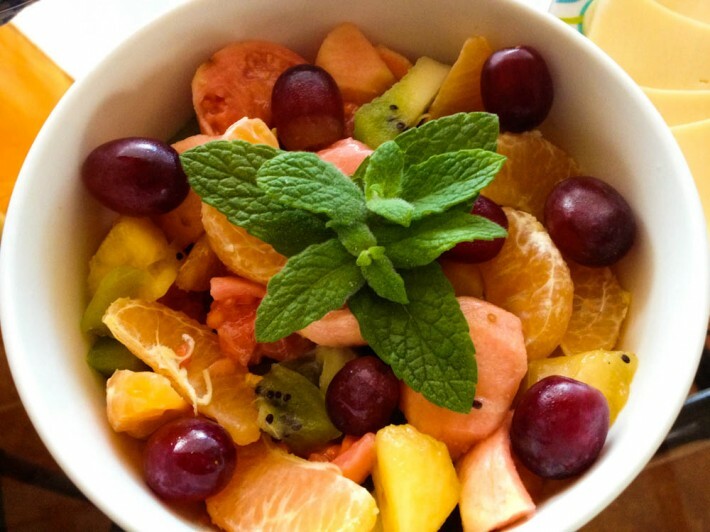 We had arrived to the land of fruits! 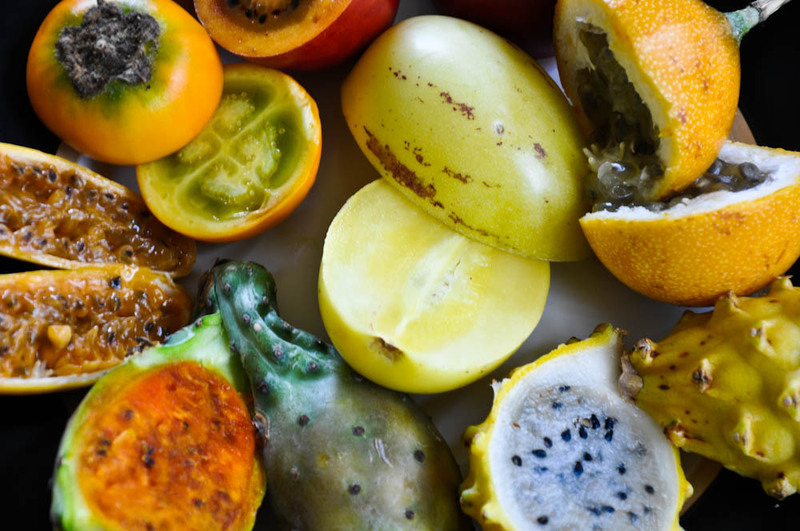 If it’s true that in Brazil we experienced some of the tastiest fresh fruit juices I had ever tasted, in Ecuador we got to try even more new fruits, for me, “exotic frutis”. 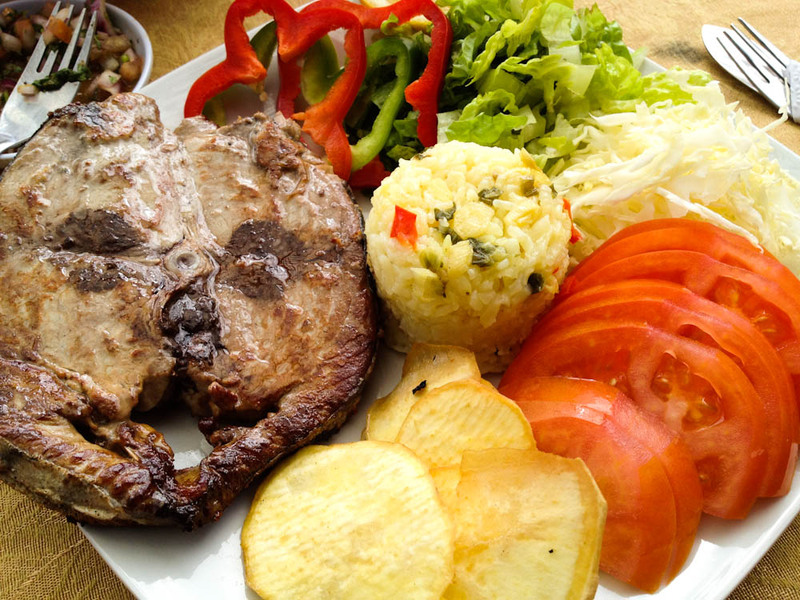 Almuerzo: lunch in Ecuador consists often times of chicken or beef with rice and some vegetables. 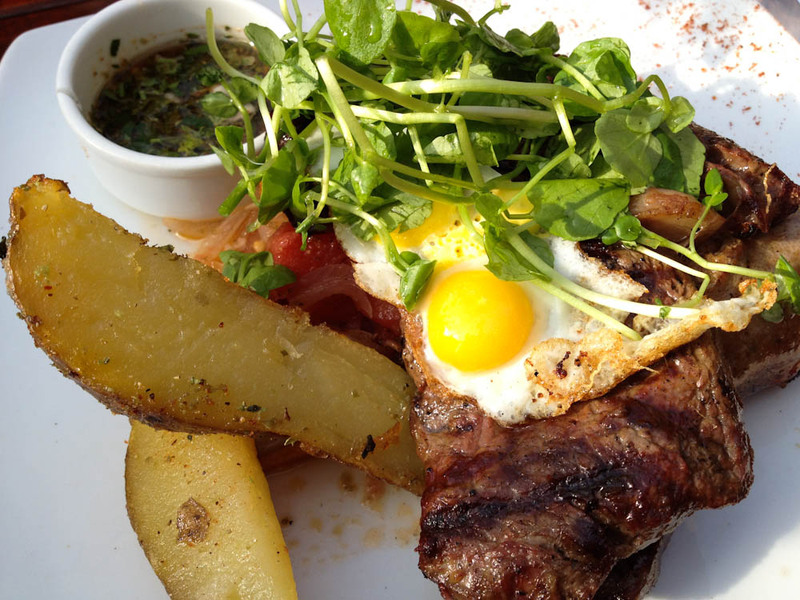 This is a fancy almuerzo though. 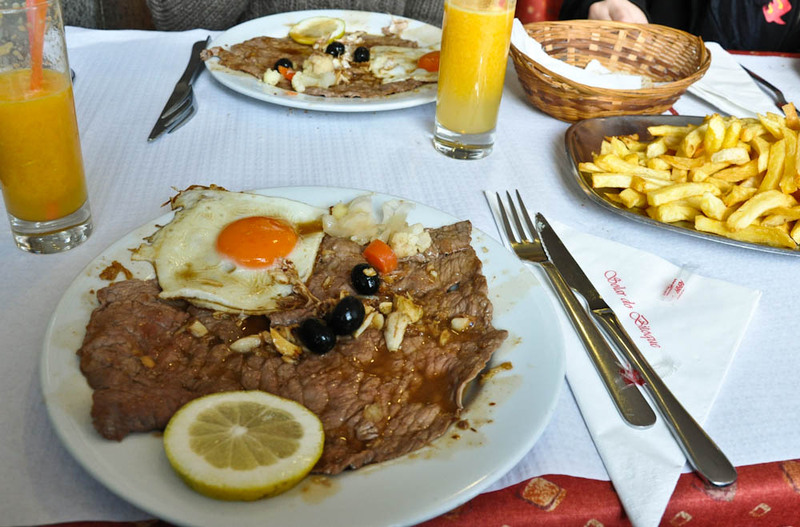 Most days we had USD2 almuerzos. 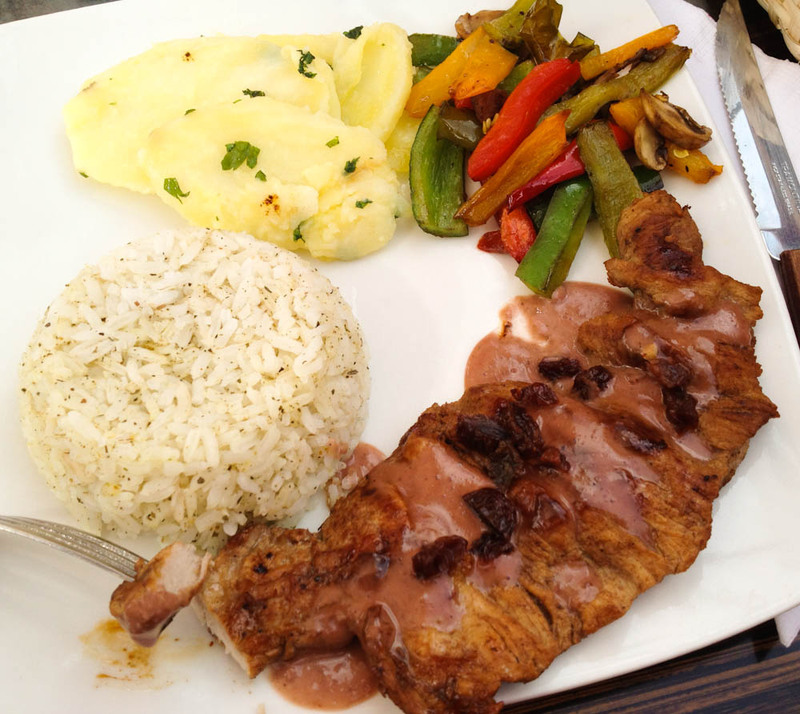 The day we upgraded to the USD5 one, we got pork loin with plum sauce. 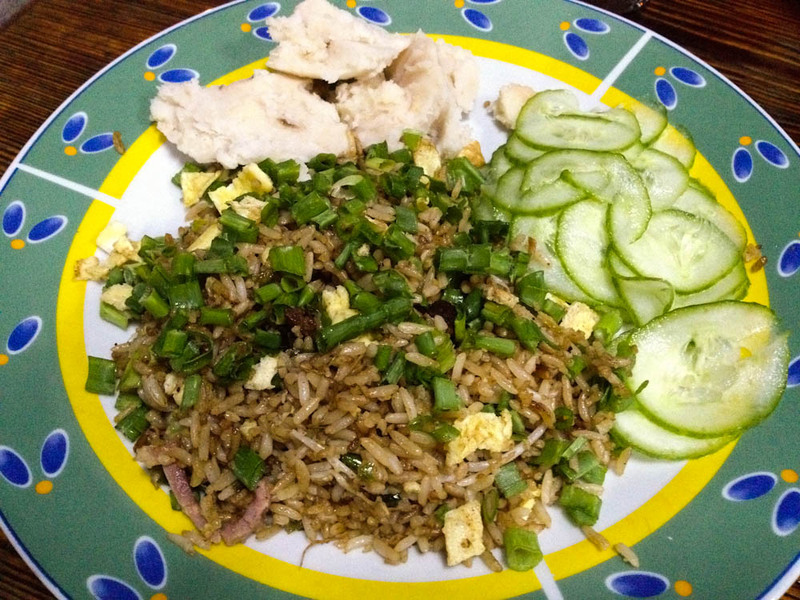 A real treat after having chicken and rice so often! 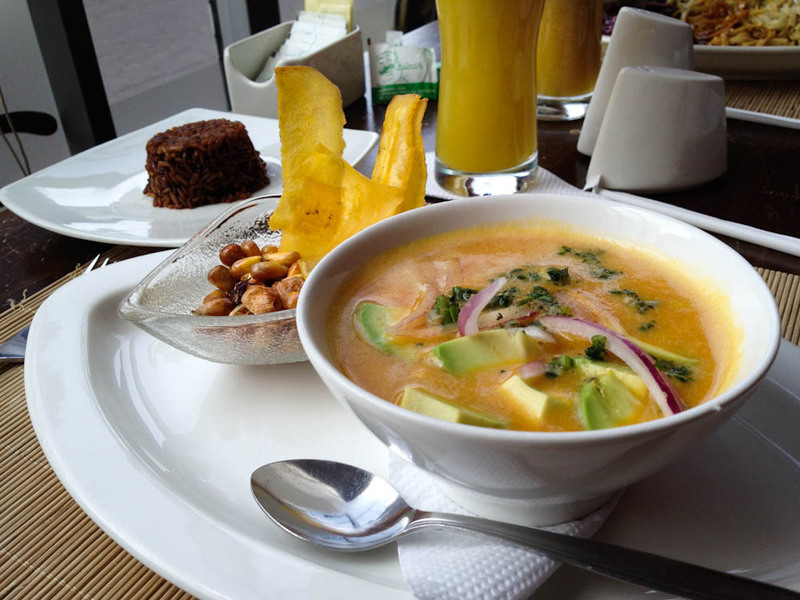 Fancy Ecuadorian cuisine: chicken and avocado ceviche in passion fruit sauce, served with chocolate rice. Volquetero: pure salt! 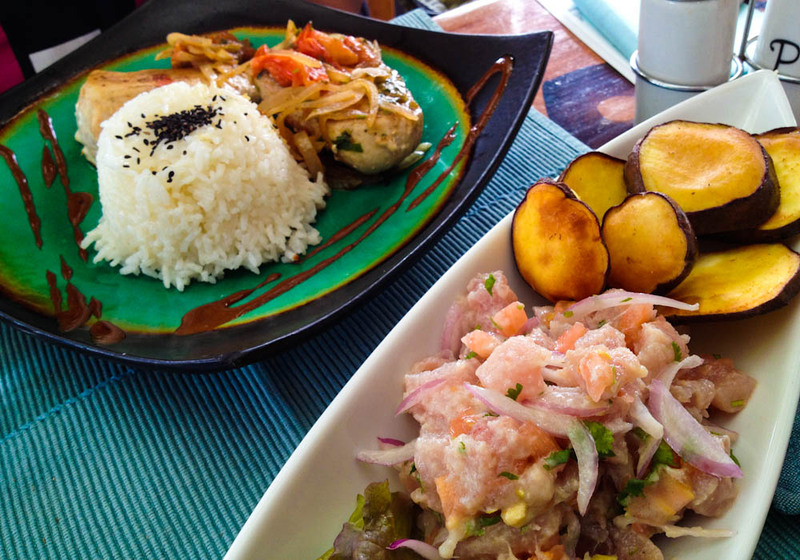 Salted grains, canned tuna, marinated onions and tomatos and plantain chips. 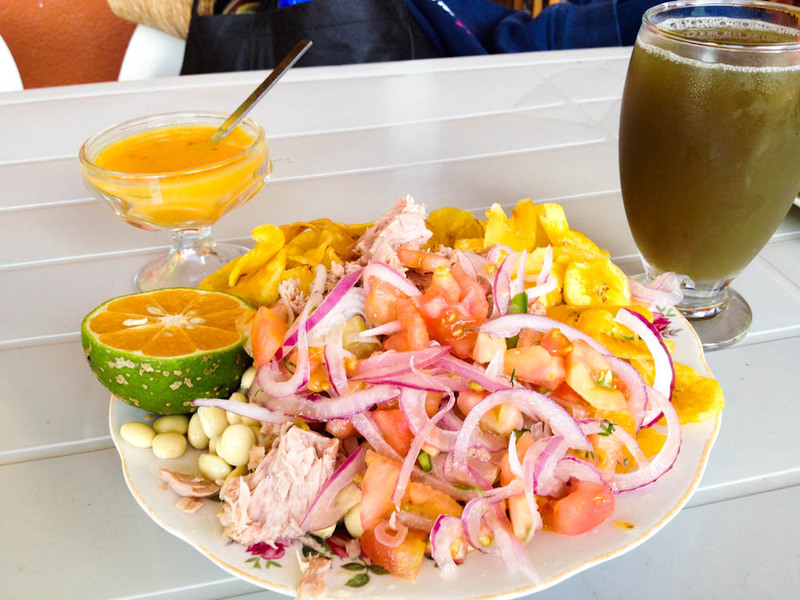 Typical snack in the Ecuadorian Amazon. 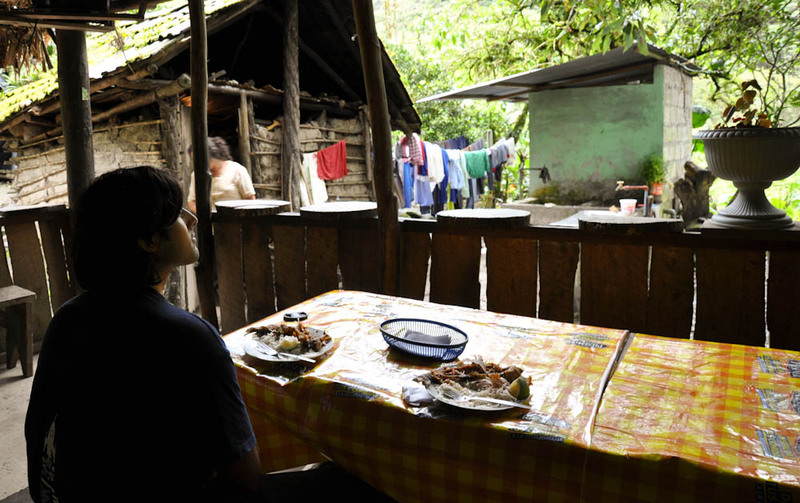 A very rustic meal of fried trout, rice and plantains near Banos. 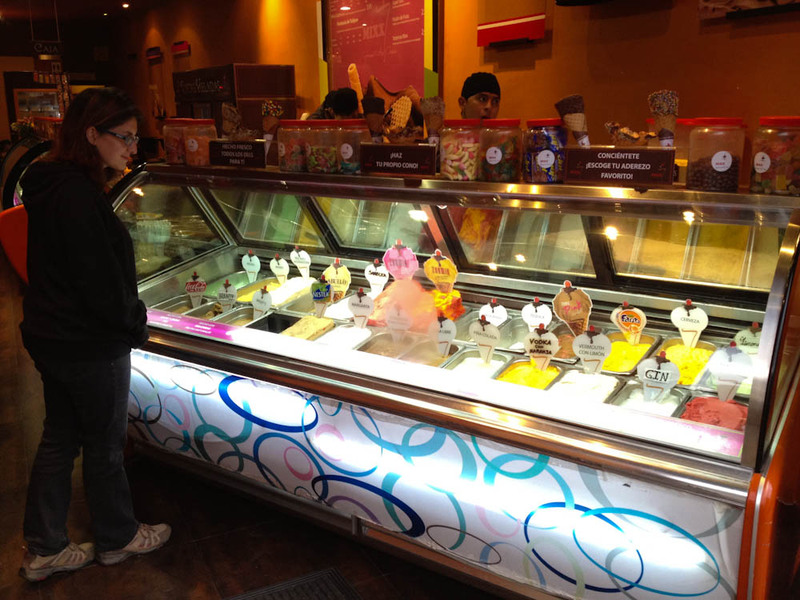 We were the only customer's at this lady's "restaurant". Alcoholic ice-cream: we had screwdriver (orange +vodka) and whiskey! 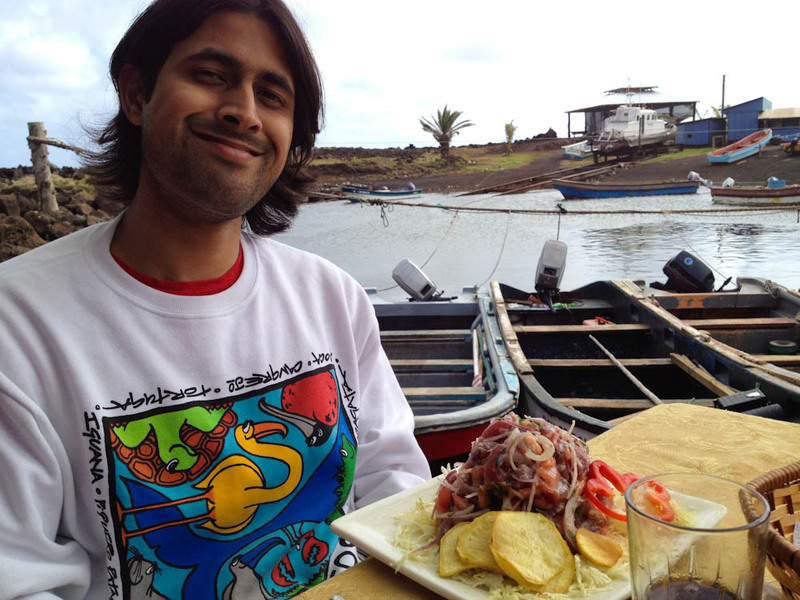 I love fresh tuna steaks and the GALAPAGOS ISLANDS stole my heart on this one – apart from their beautiful landscapes and wildlife, of course! 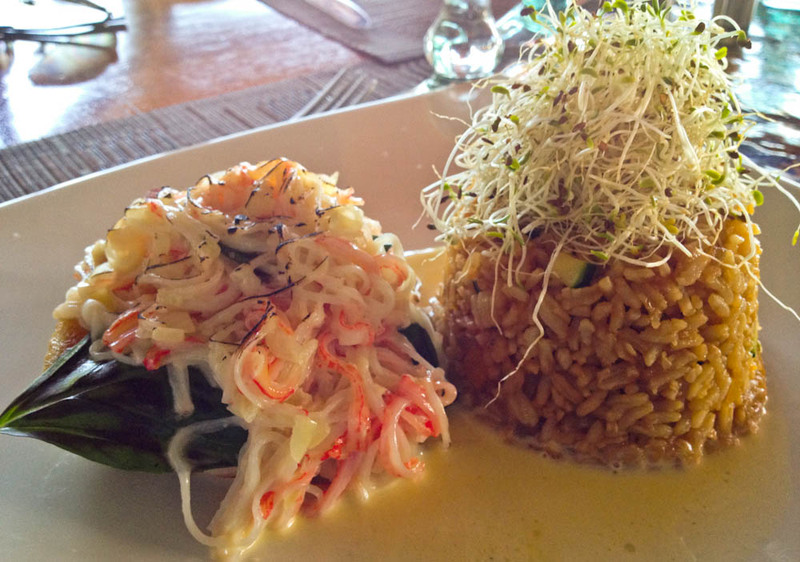 Staying at the Red Mangrove Hotel we got to enjoy their restaurant multiple times. 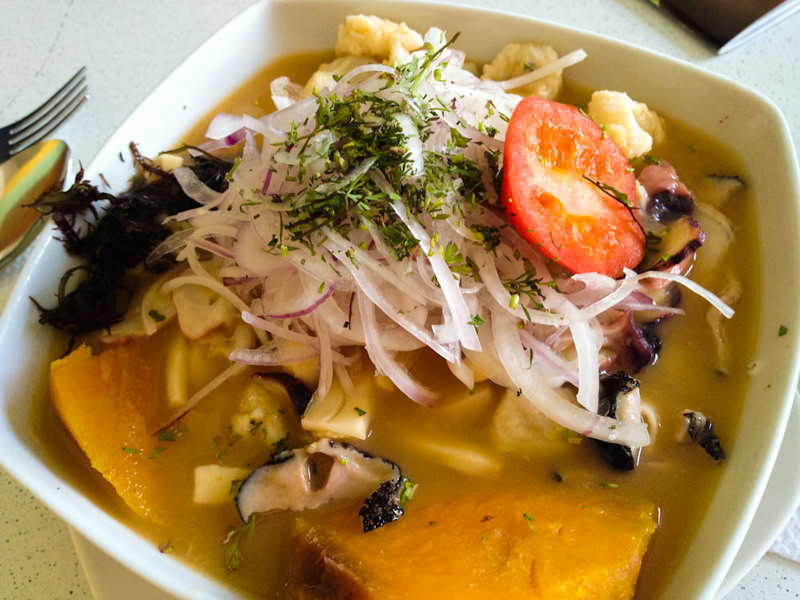 Their cuisine is a fusion of Ecuadorian and Asian – absolutely brilliant! 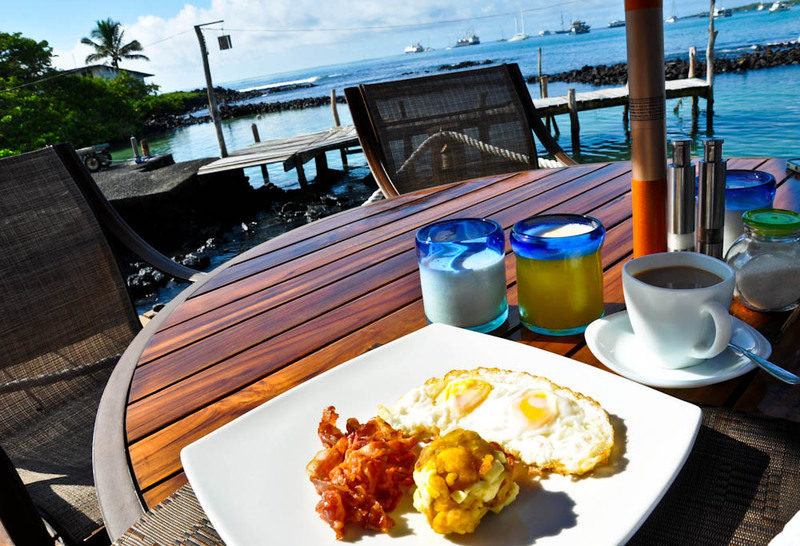 Breakfast with a view: eggs, bacon and fried plantain balls with cheese. Tuna Ponzu: one of the best things I have eaten this past year. 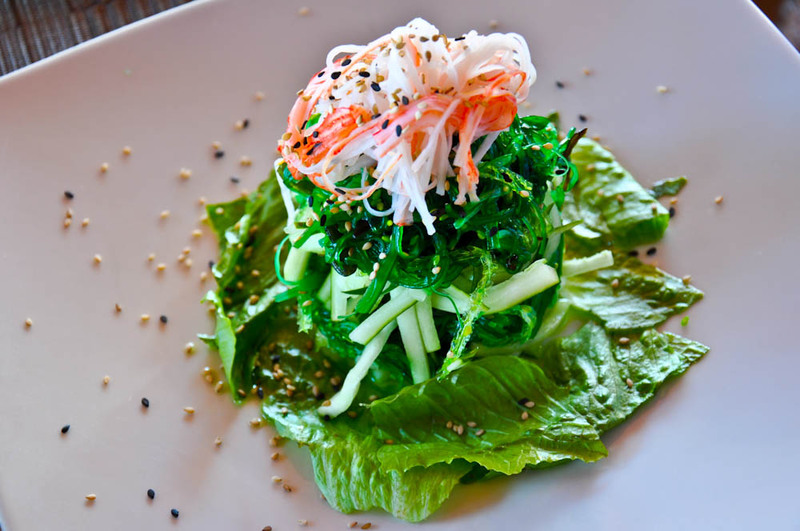 Seaweed salad: goes perfectly with tuna ponzu. 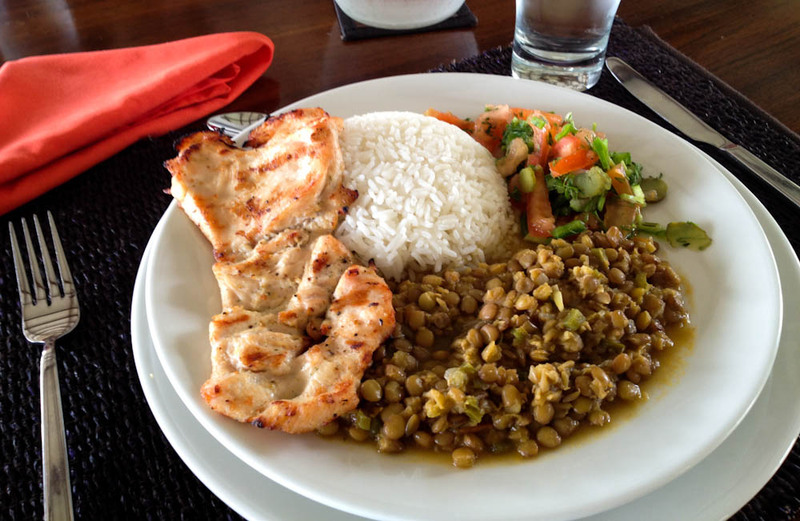 Typically Ecuadorian: grilled chicken, rice, lentils and salad. Right up my alley! 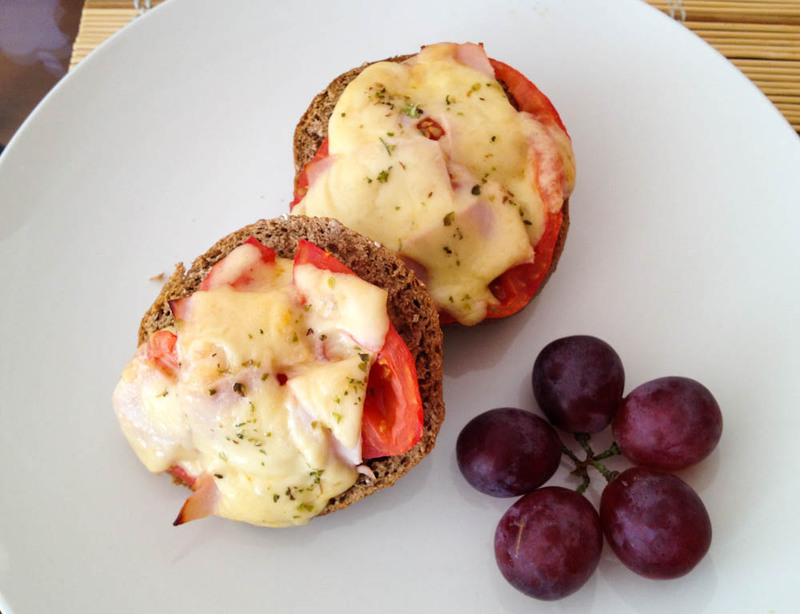 Vienna toast for breakfast: whole wheat bread, tomato, turkey and cheese, falling in warm sweet love in the oven. 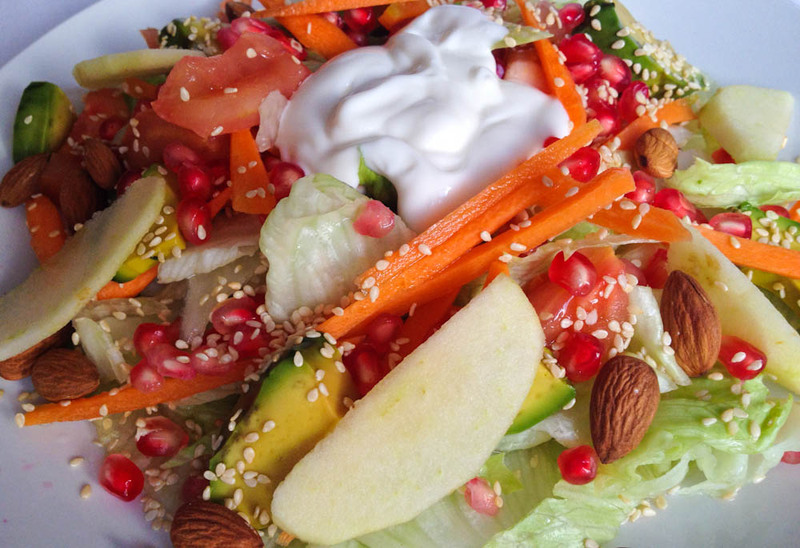 Salad with a little bit of everything that was in the fridge, and natural yogurt to dress. 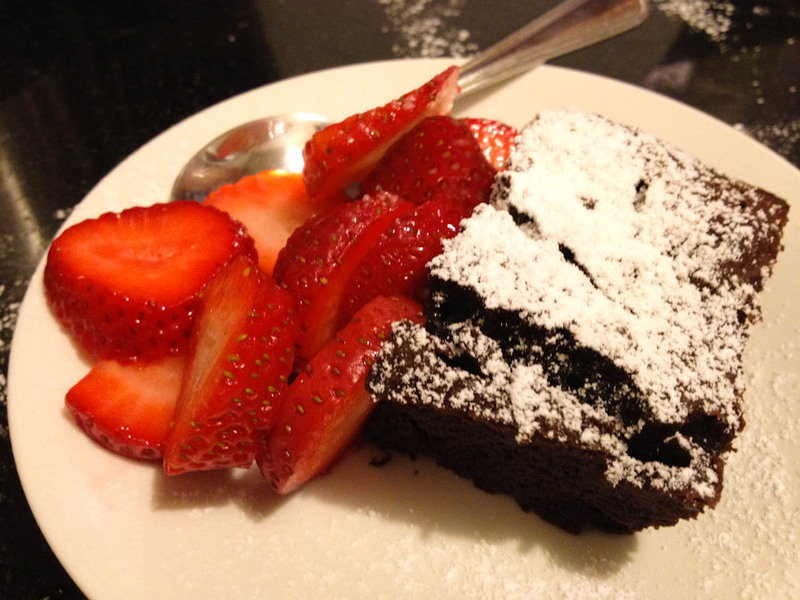 Homemade flour-less chocolate cake. I am proud of this one 'cause it put a smile in more than one face! 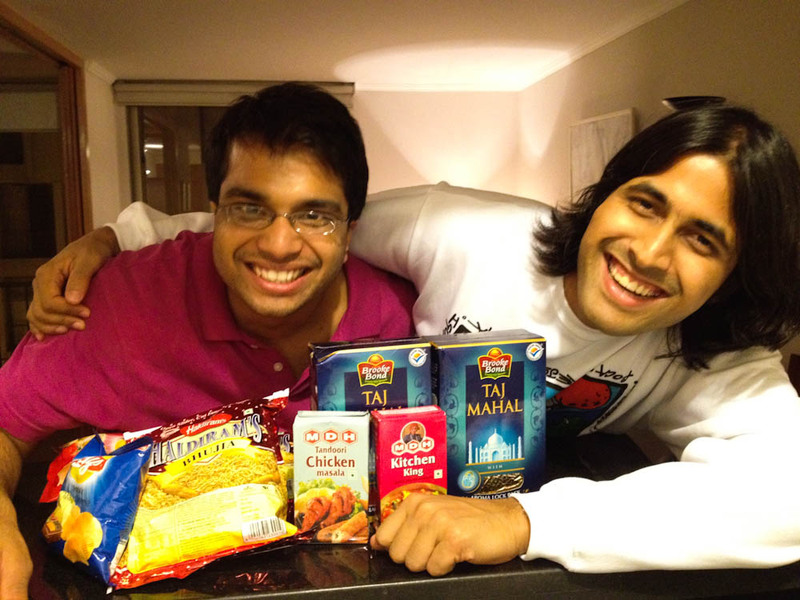 After a couple of weeks in Santiago de Chile, our friend Ayush arrived from India and brought with him a festival of INDIAN FLAVORS: tea leaves, masalas, salty snacks like bhujia and masala chips and even some parathas his Mom was kind enough to make and wrap for us. 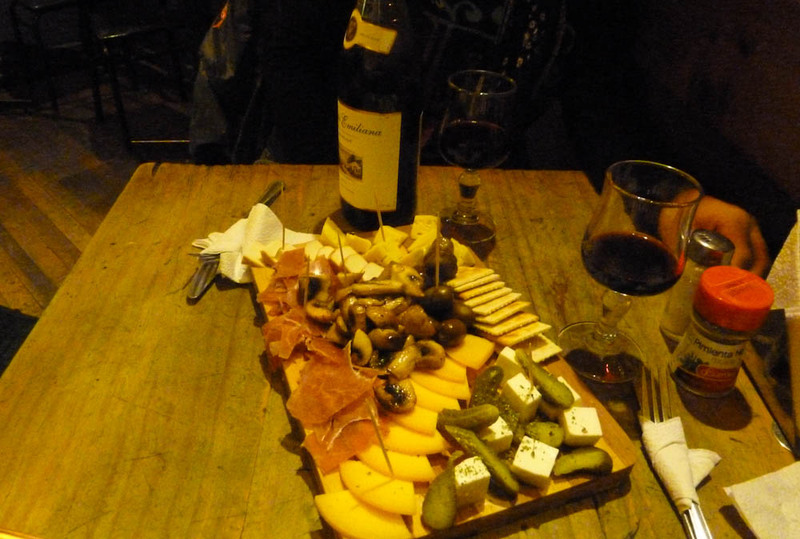 Santiago de Chile, like most big cities, is good, food-wise as it makes available a variety of restaurants, cuisines, influences… not only we had CHILEAN FOOD, but also Indian, Korean, Sushi… It is this kind of variety and availability that makes me think I have to live in a city. 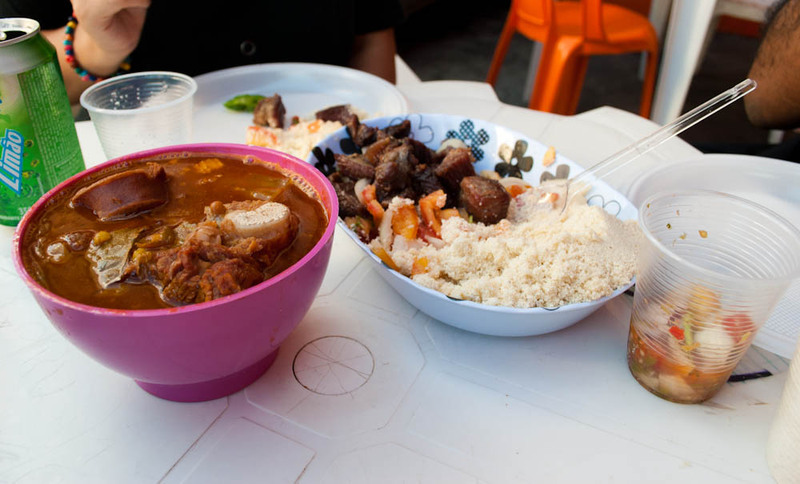 I am too driven by cravings to limit myself to a place with “local” kind of food only. 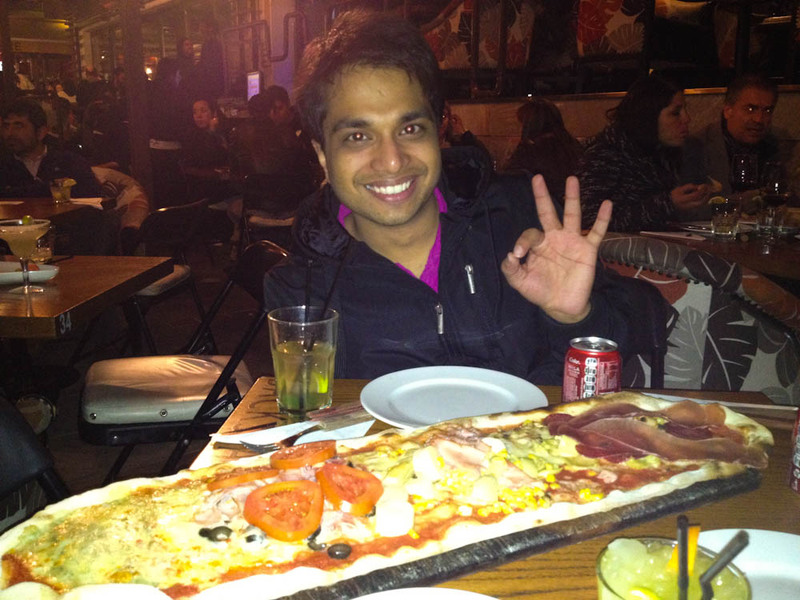 Chilean sandwiches are MASSIVE! 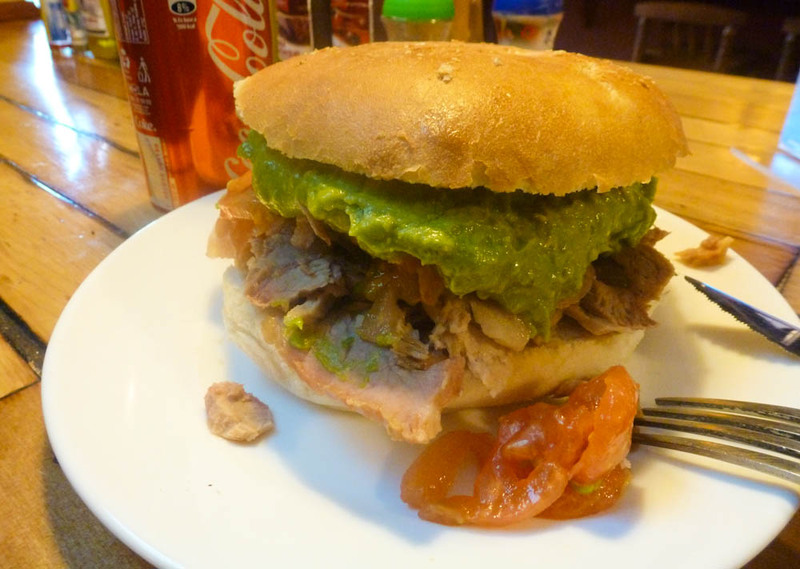 This one is "lomito": saucy pork loin with mashed avocado. 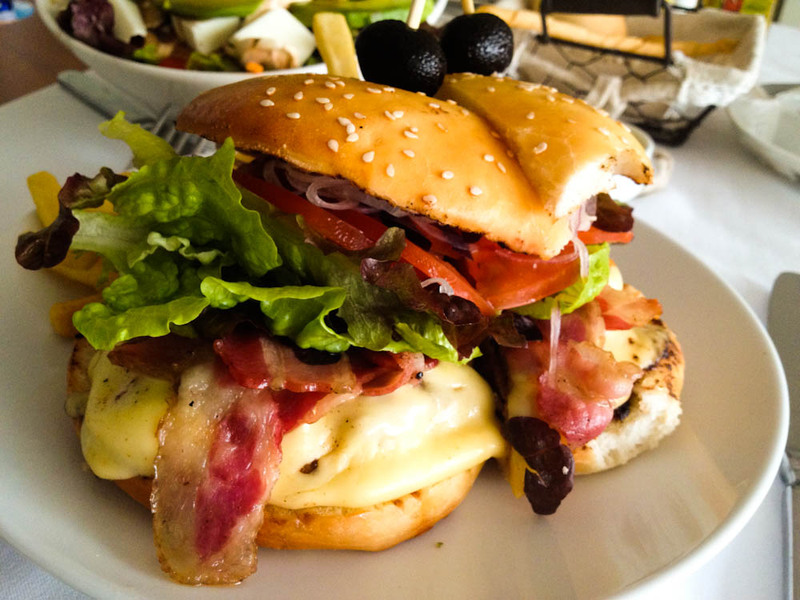 NOI Vitacura hotel in Santiago de Chile has some incredible room service options: we had this burger 2 days in a row. 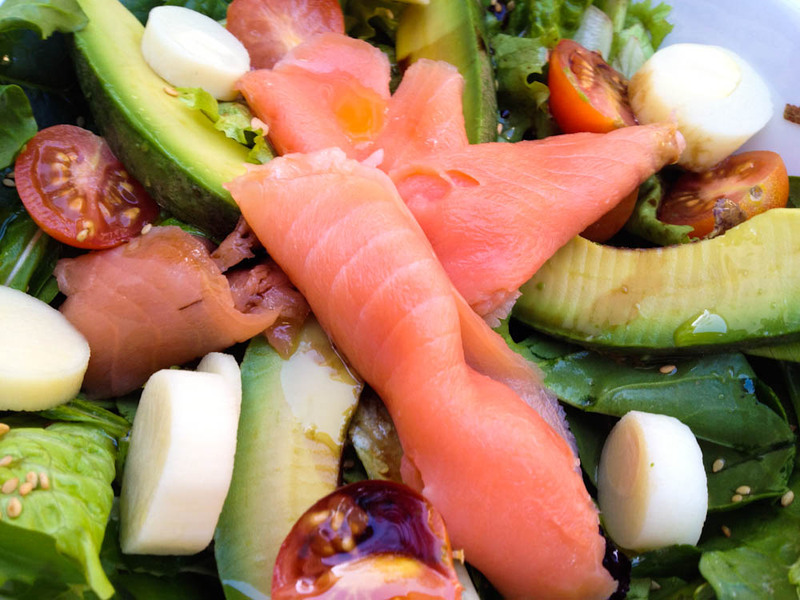 After Ecuador, having tasty raw salads in Chile was such a refreshing change! 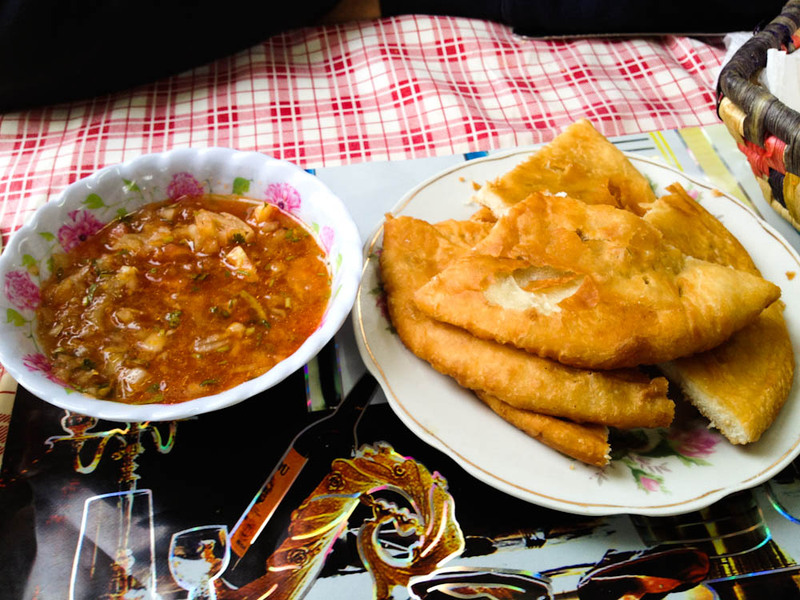 Sopaipillas: typical fried bread with tomatoes and chilly sauce to dip! 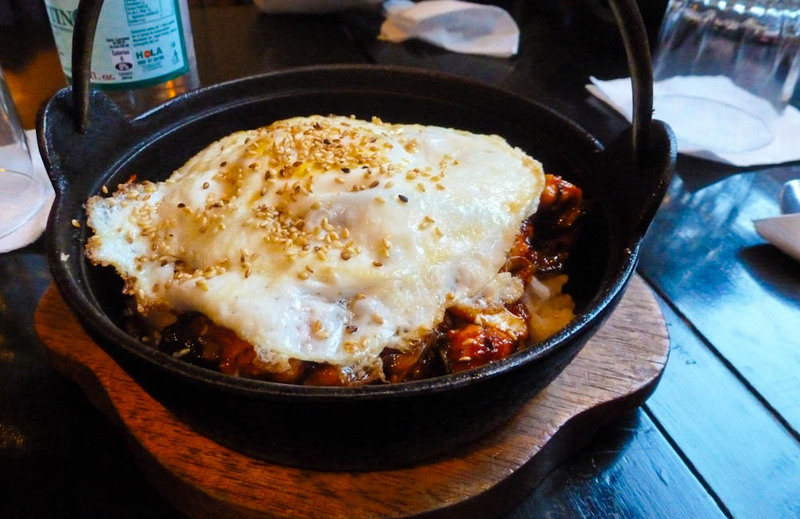 We came across a Korean restaurant in Santiago and ended up eating a lot of times there. It was super! 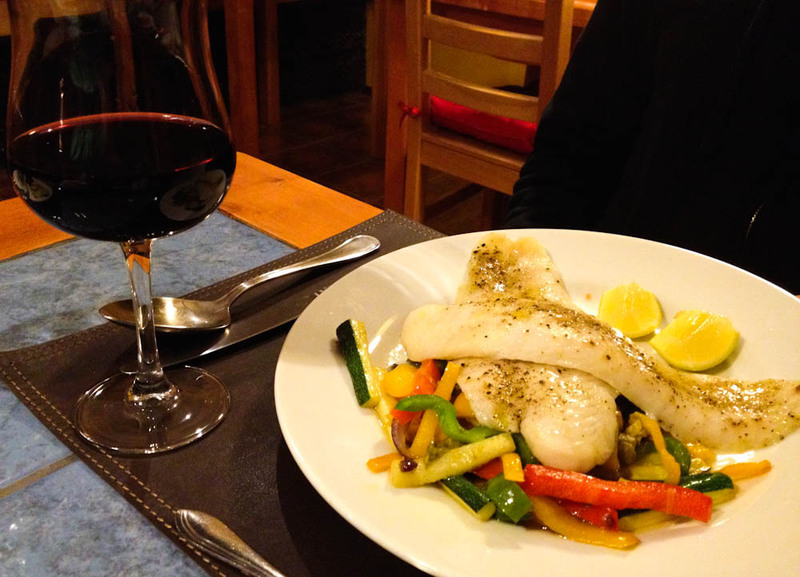 Grilled fish, steamed vegetables and Chilean wine. 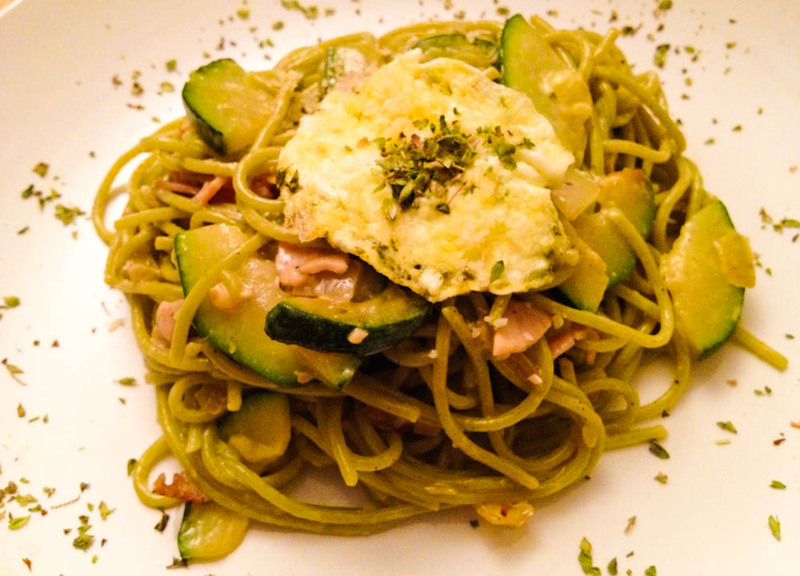 So simple, so good! 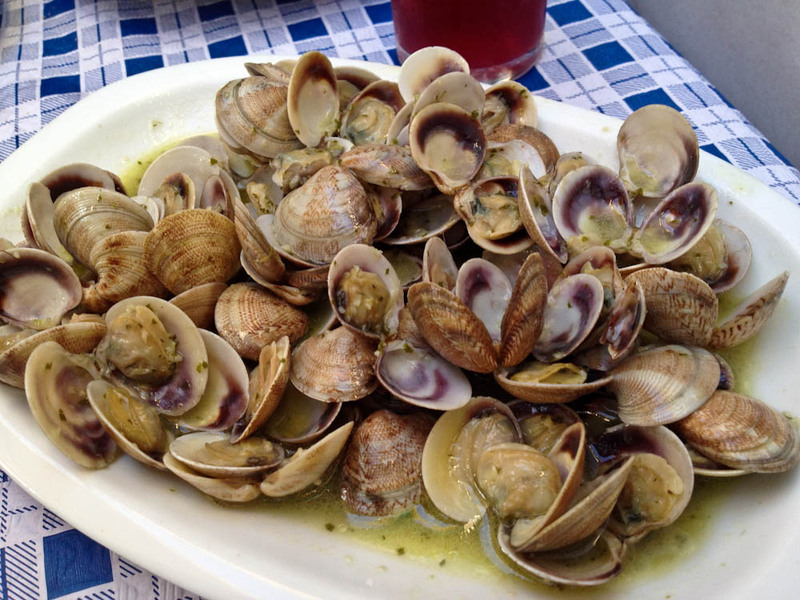 Curanto: where sea and land meet. 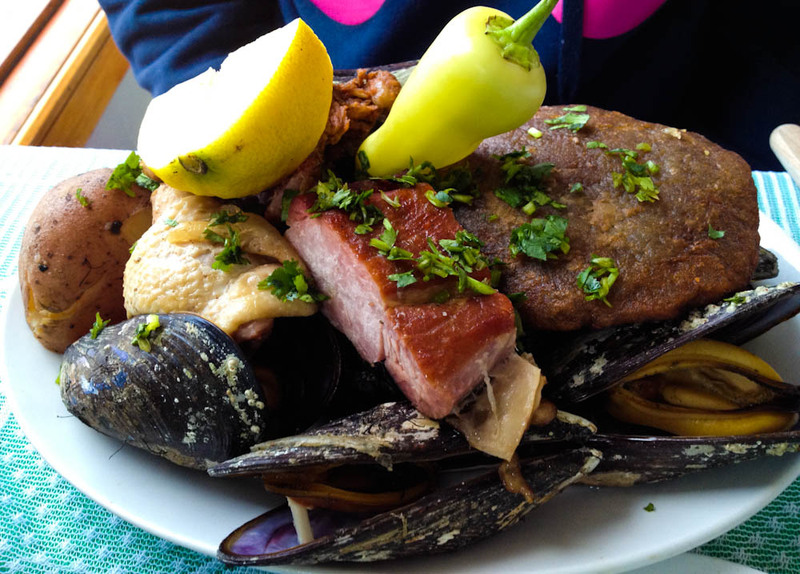 Mussels, pork, chicken and potato dumplings stuffed with minced beef. 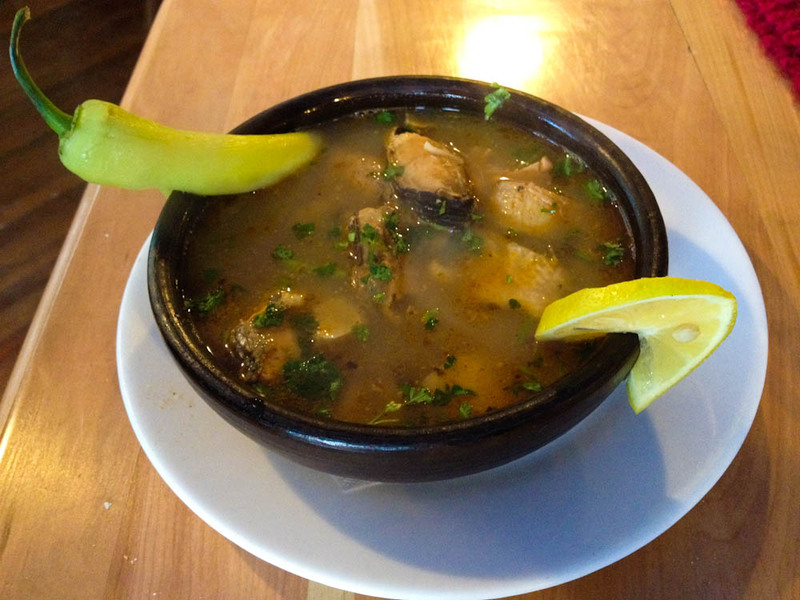 Mote con Huesillo – a traditional Chilean desert. 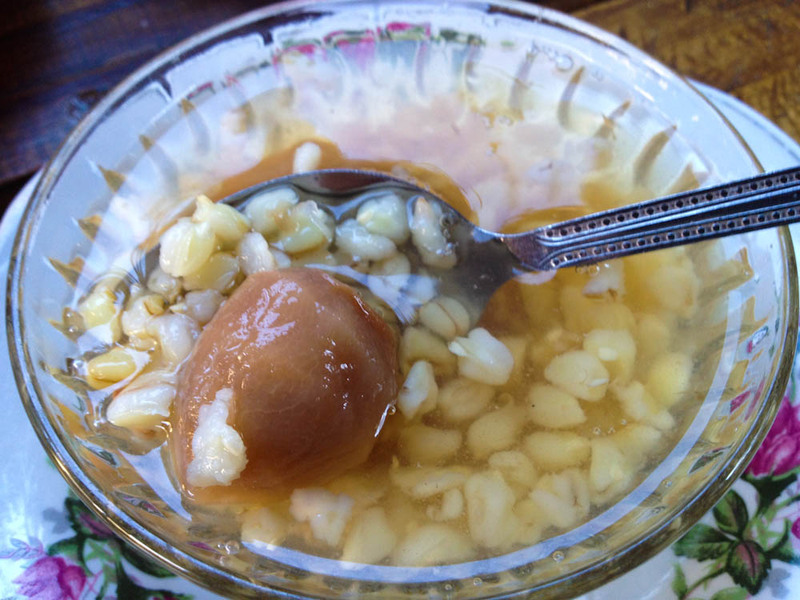 Little preserved peaches and wheat in syrup. 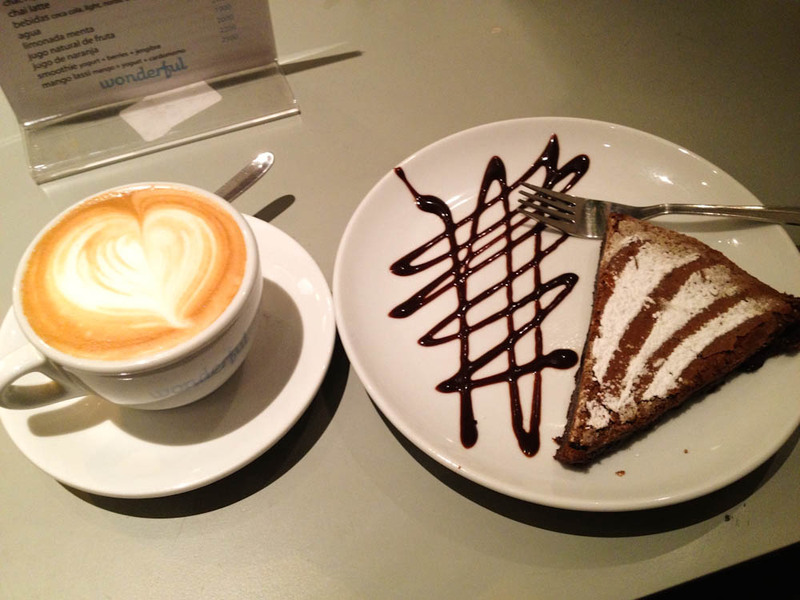 Cappuccino and chocolate cake at Wonderful Cafe, Santiago. 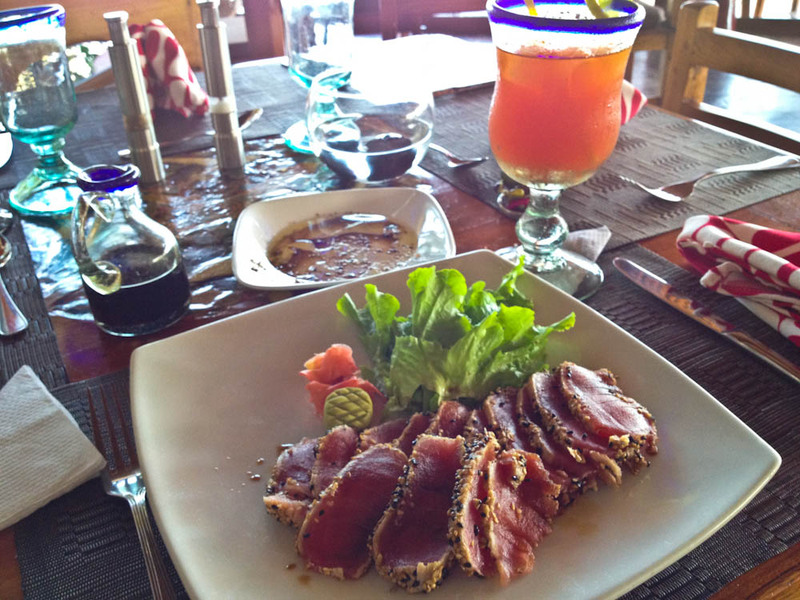 In EASTER ISLAND (aka Rapa Nui), was time to enjoy fresh island tuna… again! I couldn’t be happier! 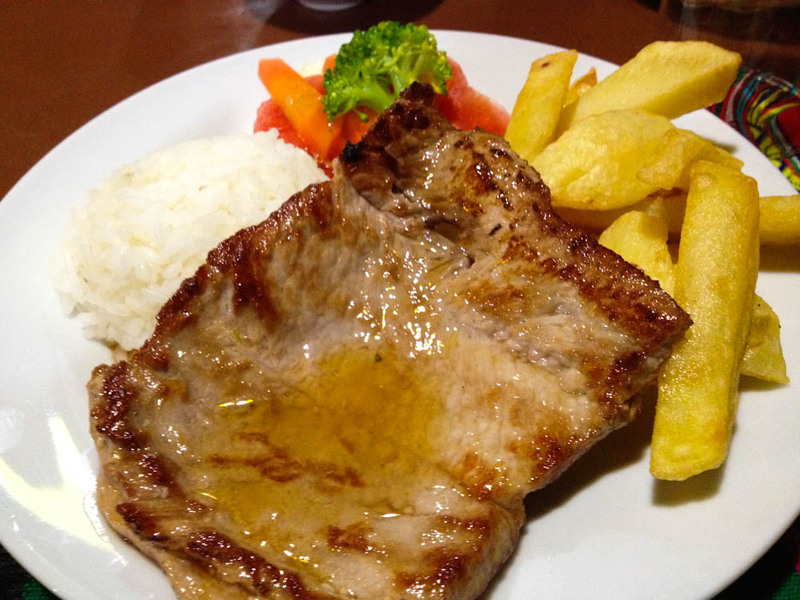 Grilled tuna that smiles like a sloth! 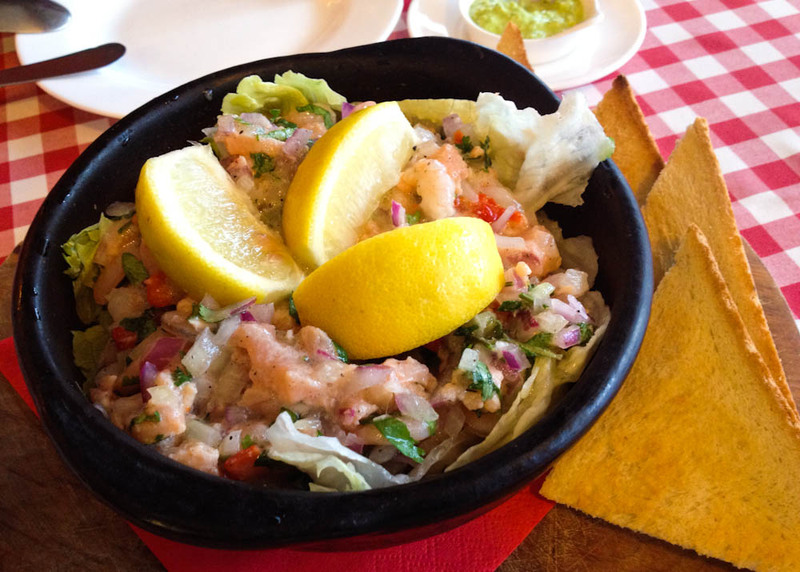 More tuna ceviche (can't get enough of it!) 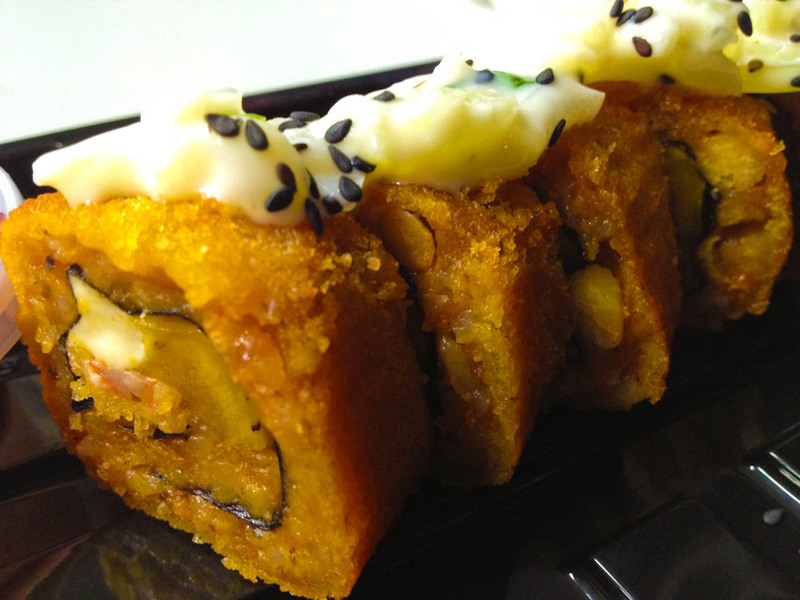 with sweet potato chips! 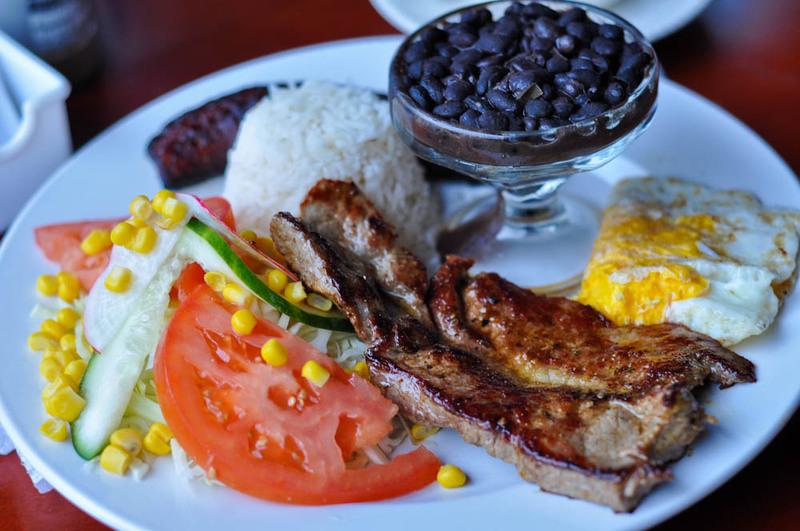 A country that knows how to eat well is a country that wins my heart very easily. PERU was extremely successful at that! 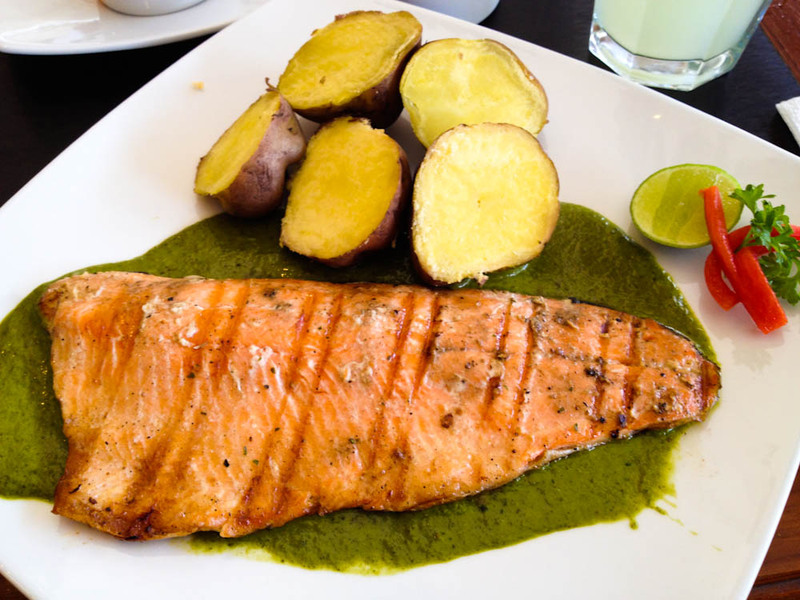 Grilled salmon trout in green sauce. 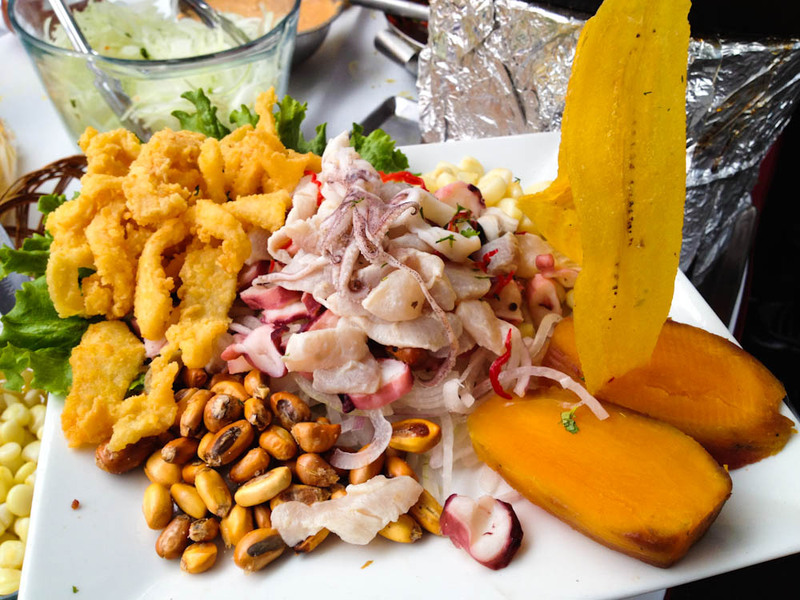 Mixed seafood ceviche at ForeFay restaurant in Arequipa. 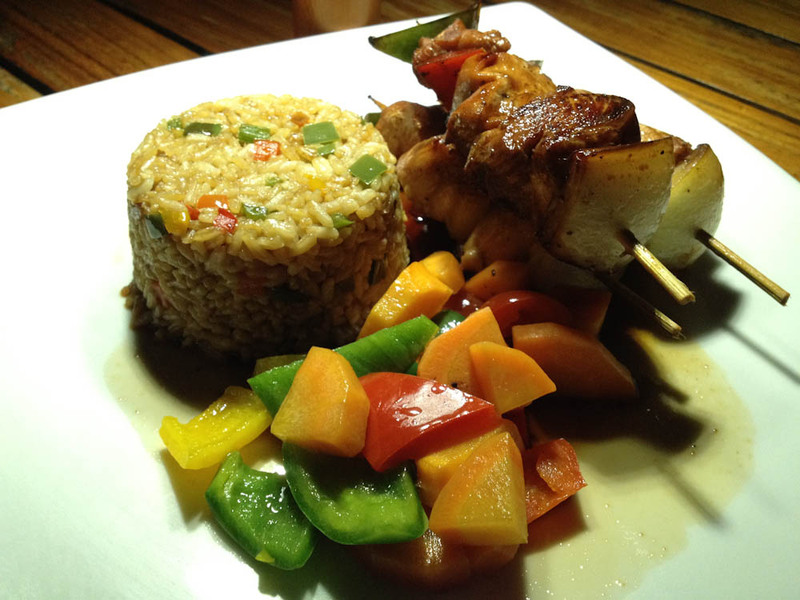 Citrucy and spicy! 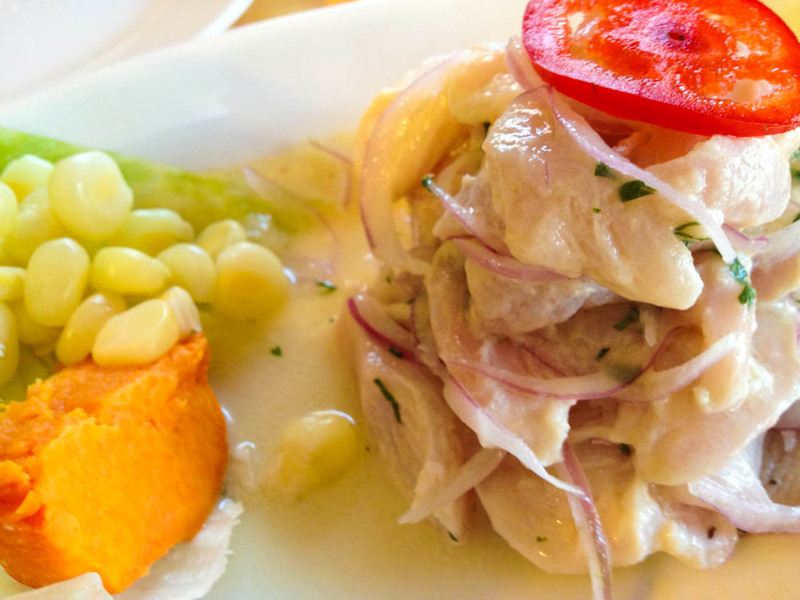 Quite probably, the best ceviche we've ever had. 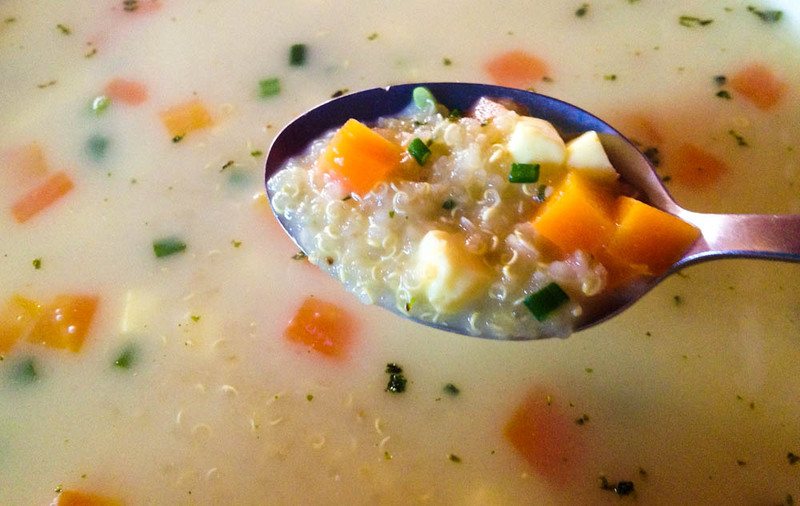 Quinoa soup: a staple food in the Andes. Quinoa is a super food! 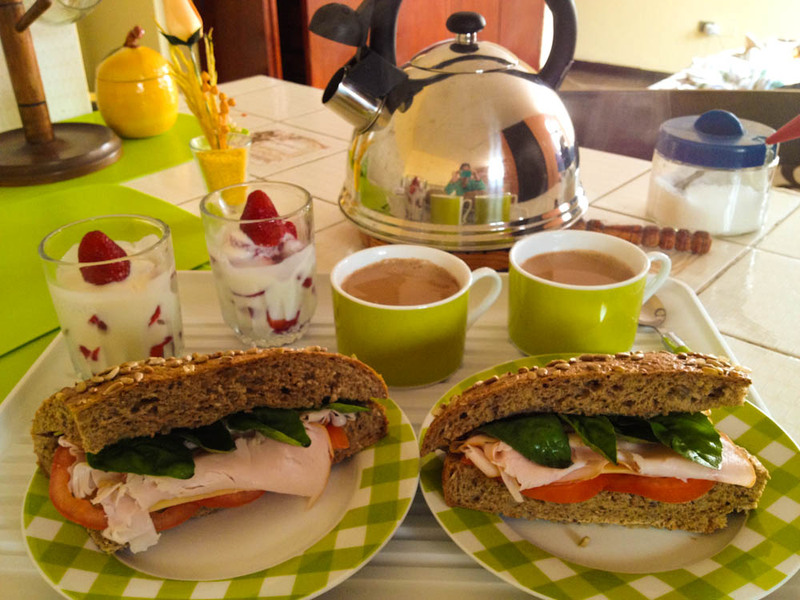 Breakfast: smoked turkey breast with tomatoes and basil, natural yogurt with fresh strawberries and our beloved chai. 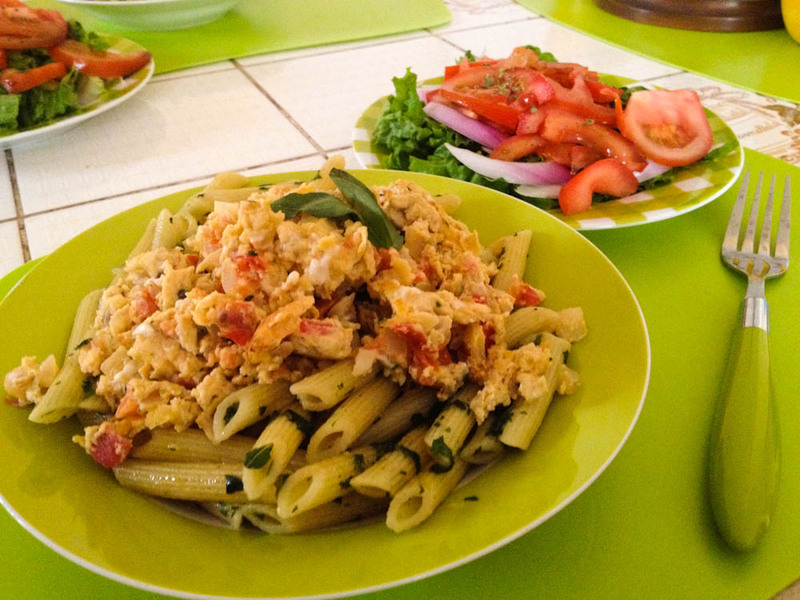 Basil pasta with tomatoey eggs and salad. 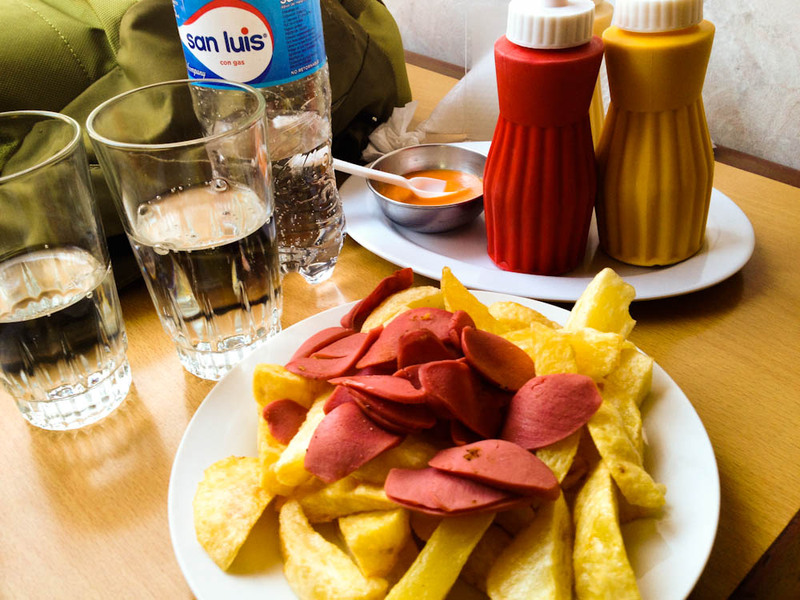 Salchipapas: fries and sausages… best enjoyed with mayo, mustard, ketchup and spicy sauce. Might sound silly, but this is VERY typical in South America! 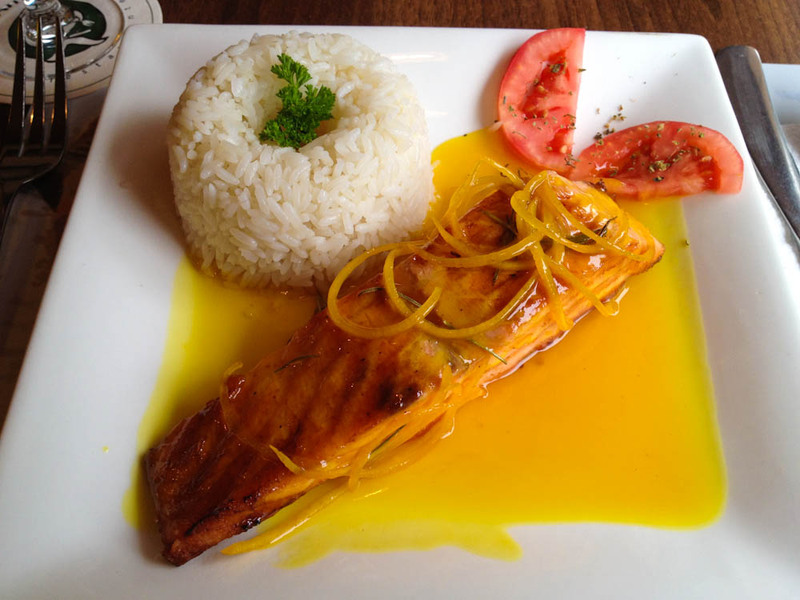 Grilled salmon with orange sauce. 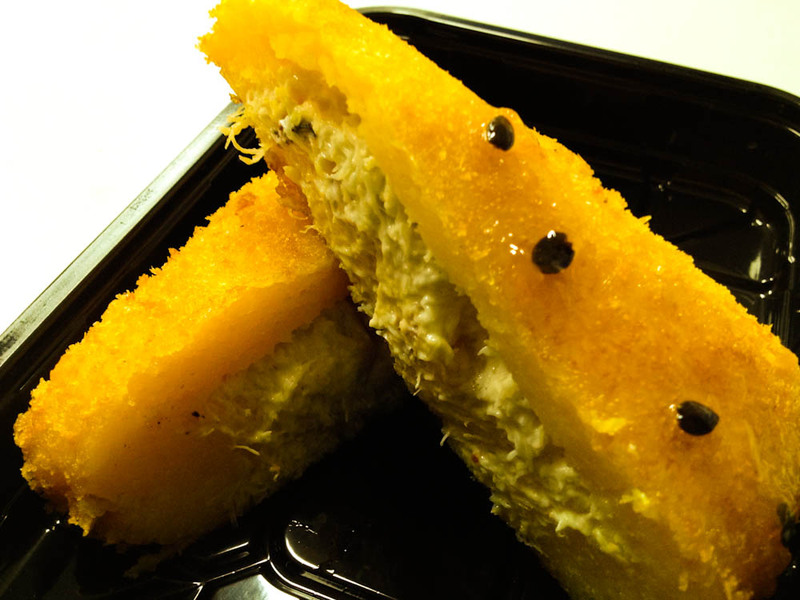 Causa de cangrejo: potato puree stuffed with shredded crab, deep fried and covered in passion fruit sauce. 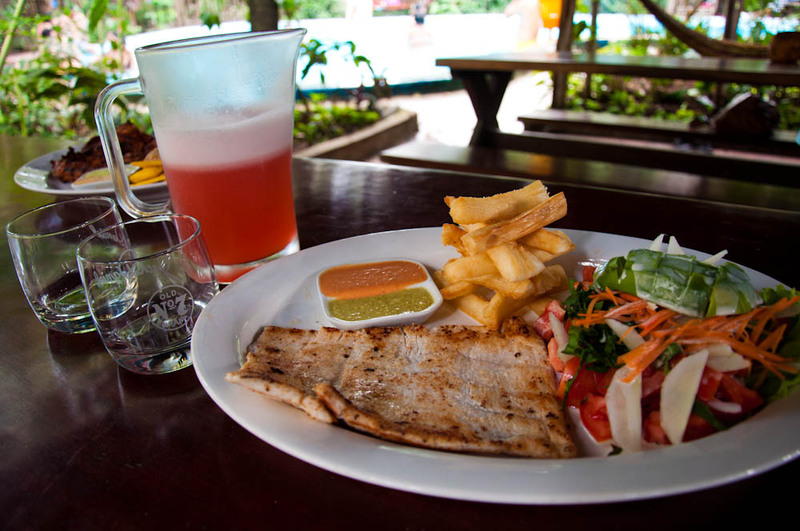 Grilled river fish with yuca fries and camu camu juice. Apparently the camu camu fruit is endangered but it is truly delicious. 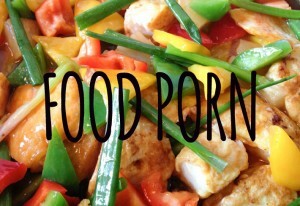 And so one year of food comes to an end! 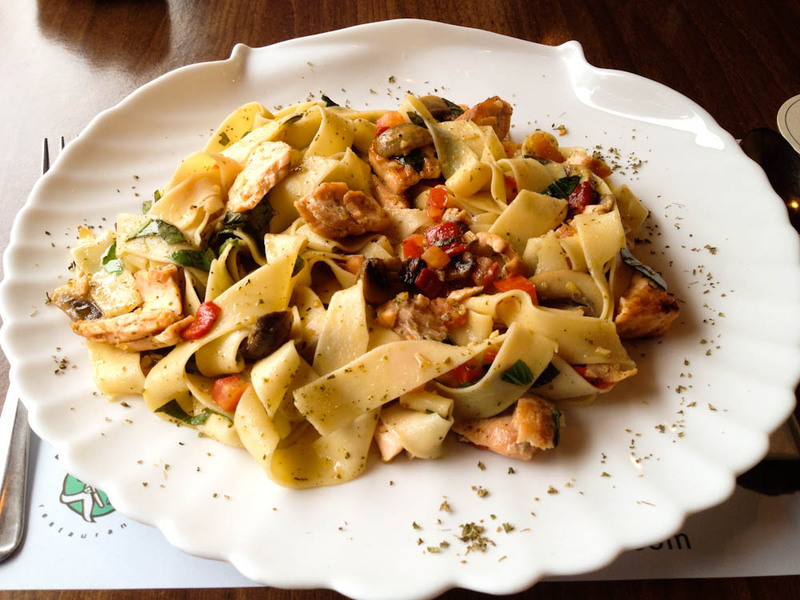 I love food and I love eating and I do believe that, same as music, eating brings people together! It’s just one of those things, like breathing or sleeping, that we all do, no matter where in the world. 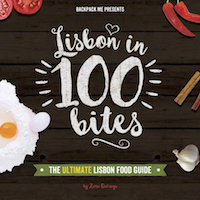 Food tells so much of the history and culture of a place that, without the gastronomic experience, traveling wouldn’t be complete! As a foodie from Vancouver I find this super inspiring. 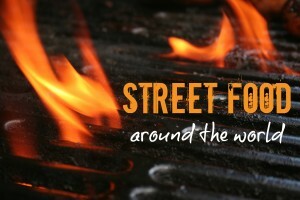 Im 21 and want to travel the world eating different foods, experiencing the culture and customs through each meal. So glad you find this post inspiring!